When people are hired for a certain job or are supposed to complete a specific task, even if it’s an everyday one, there are certain expectations that come with it. 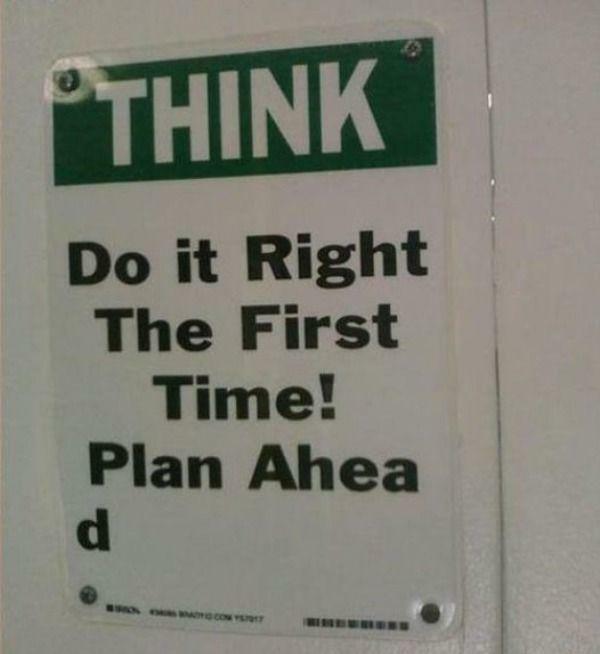 You know, like doing it right. But some people are somehow able to prove that even the easiest, simplest, and most obvious job can be entirely messed up. Now, we are definitely not judging anyone, because some of the cases on our list could really happen to anyone of us, maybe that’s what makes it even more amusing to see. However, we can’t say that some of these blatant mistakes that show how people failed so miserably are not to our amusement, because they are very funny to see. The amazing thing is that no matter how many times you try to teach a person to do a certain job, there is still a good chance that they will still probably fail it. Hey, we’re all humans at the end of the day. We’ve seen the magic tricks when a magician cuts their assistant in half and moves the assistant’s body parts. 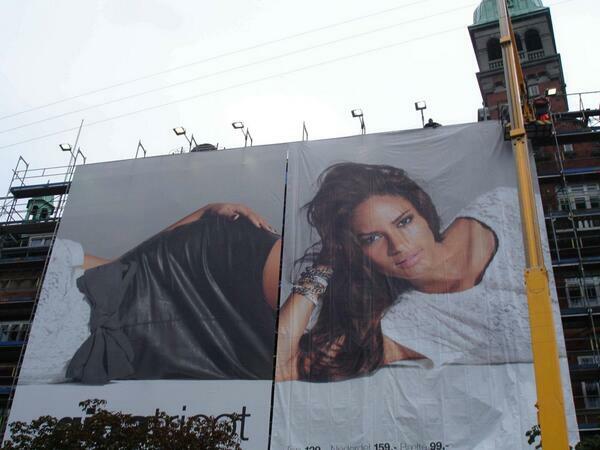 But this billboard is a completely new trick. 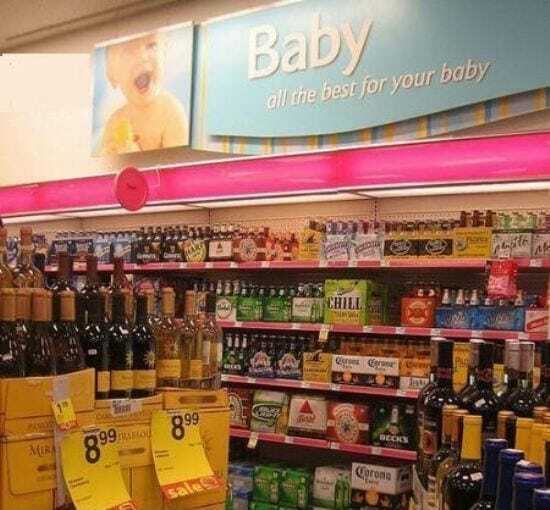 Whoever was in charge of putting up this sign must have either thought it could be a cool marketing trick, or they just weren’t thinking at all. The latest member of the UK? 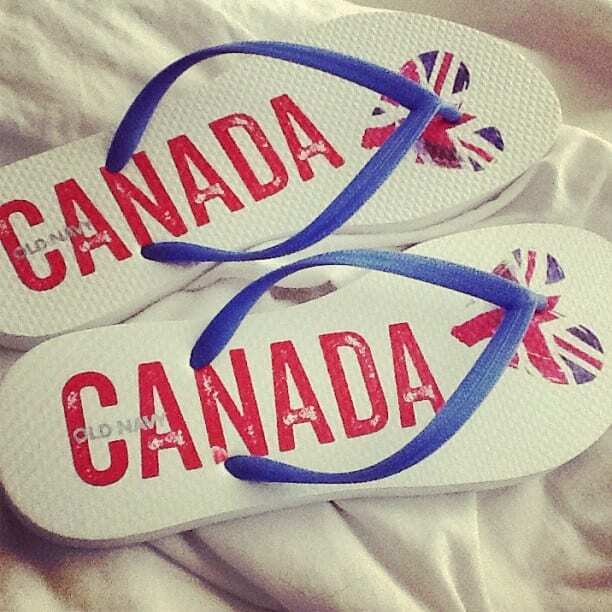 Whoever made these Canada flip flops may still think the North American country still has some political ties to the UK. They may share the same monarch, Queen Elizabeth II, but Canada isn’t quite part of the British empire anymore. Really makes you wonder, how many of these flip flops were produced? And are people actually walking around wearing them? Another case of a presenter in the wrong place at the wrong time. 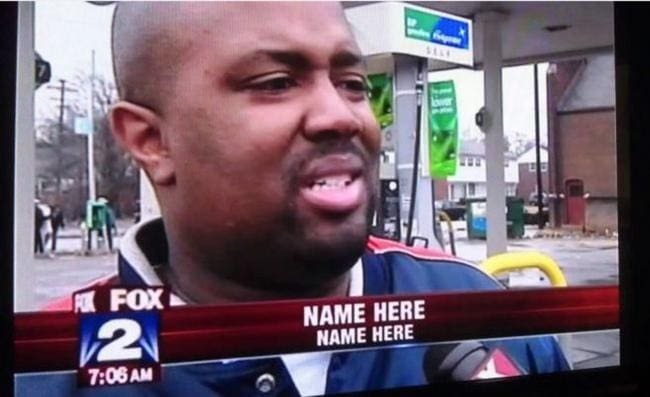 Harvey was trying to follow his producer’s orders and ended up mixing up the winner’s names. After four minutes, and a trip back stage, Harvey had to come back on stage and announce his mistake to the world, and the competitors. 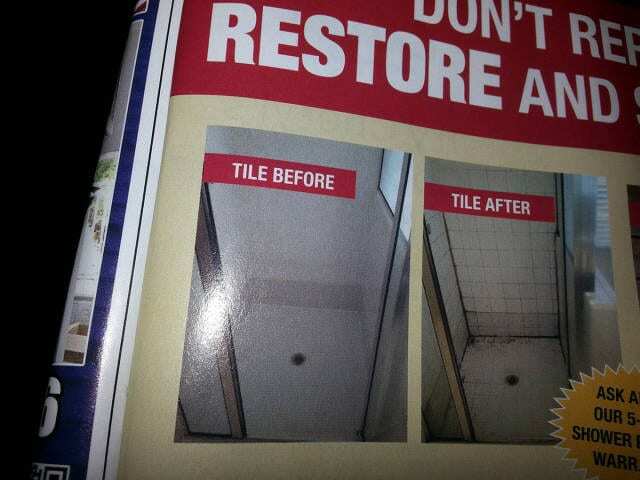 This is a classic example of how one little mistake can make for one large, hilarious mistake that makes us crack up. But let’s be honest, who wouldn’t take home this stuffed lion cub? It would definitely be different than other stuffed animals you may have. 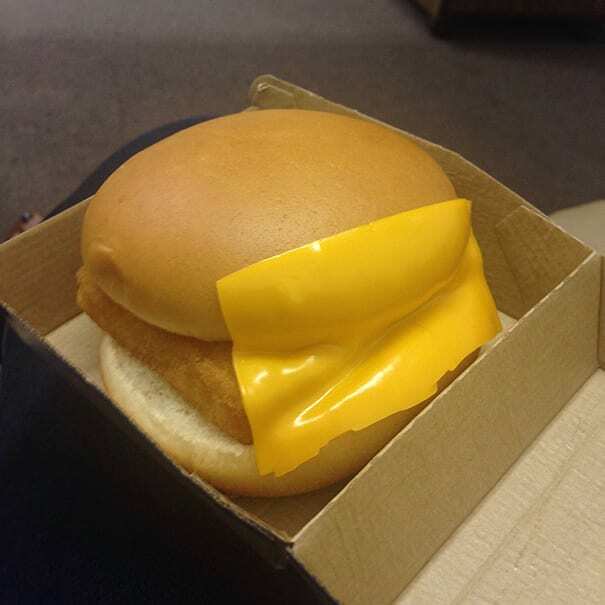 I’d hate to be the other side of this fish fillet sandwich, where there is no cheese and no extra flavor. And I’d hate being the person eating it even more. This cheese looks more like the a person putting cheese on their face to make a child laugh – we’re just waiting for the “mouth” to move. …one of these things just doesn’t belong. Can you tell which one? 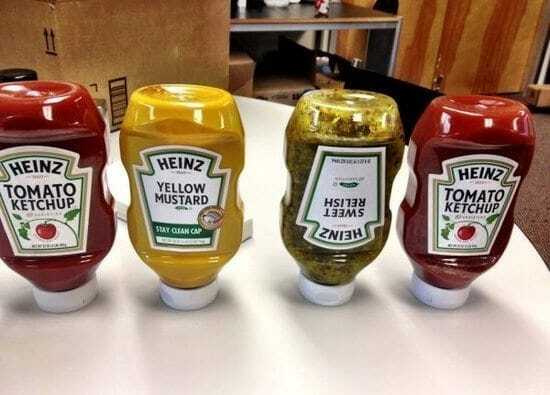 Not only is it the one condiment that is probably most disliked, but it’s also the only one that’s upside-down. Maybe it’s because no one really gets to the bottom to have to flip it over? Who knows. Let’s hope that in this case “loss of a loved one” just means a breakup, that would make this card is a little less insensitive than it looks on the outside. 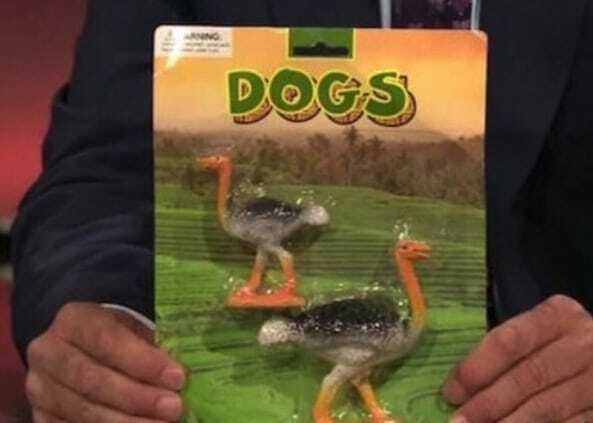 Or maybe it’s made specifically for someone who loves dogs? 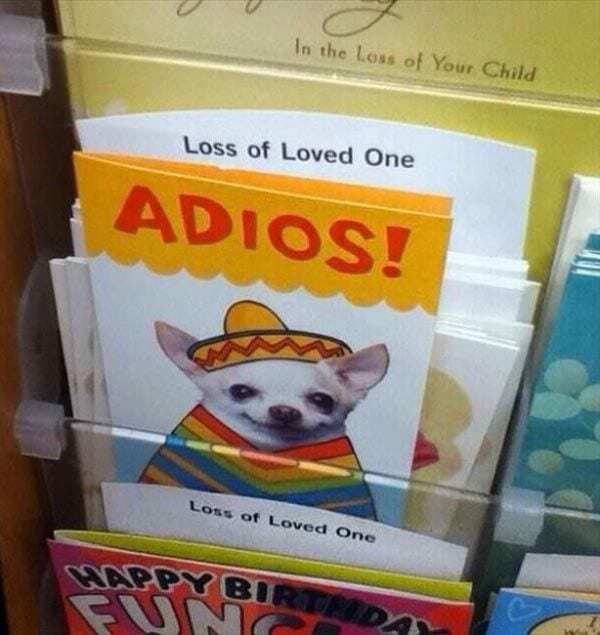 Still not a good enough reason to put a dog in a sombrero on a card for someone who just lost someone. Maybe not inside out, just out. 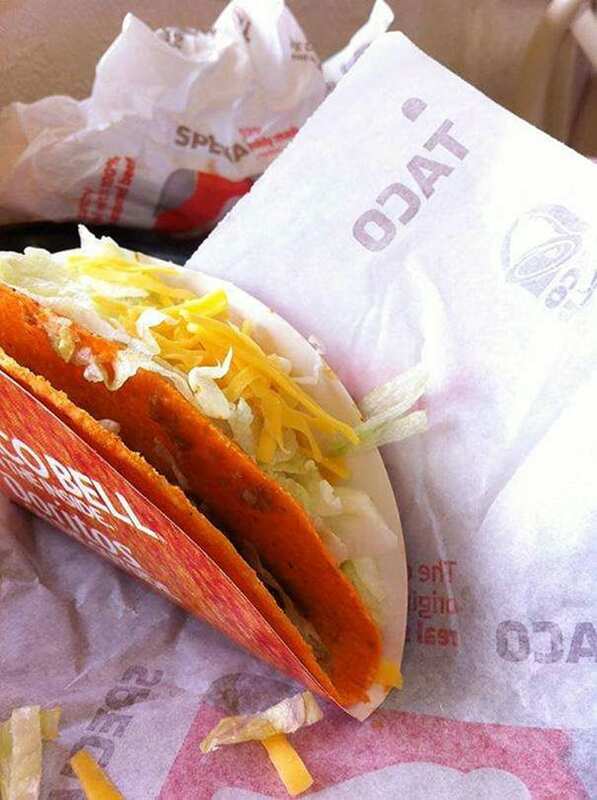 Whoever was on shift at this Taco Bell was not paying attention while making this Doritos taco, or maybe they were trying their own version of a build your own to see if it could succeed. 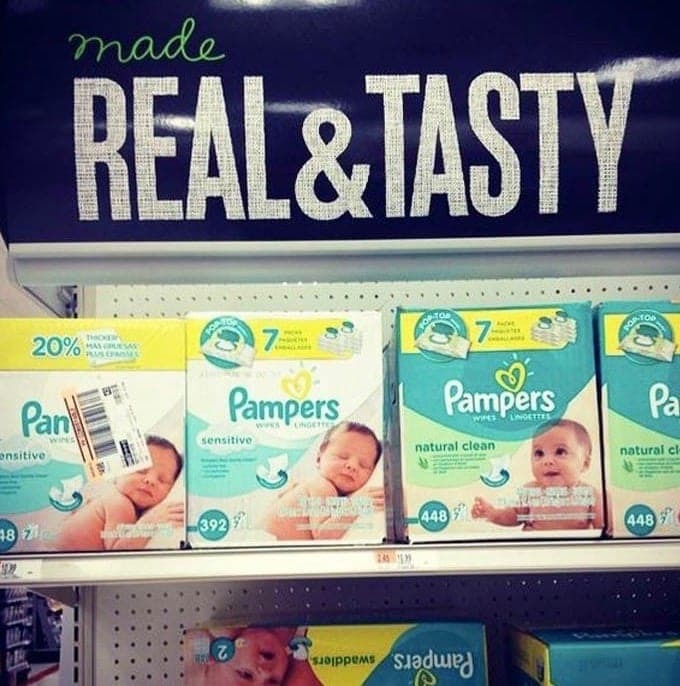 I mean, all the ingredients are there. We hope this is placed at a department store near the CIA, the Culinary Institute of America. 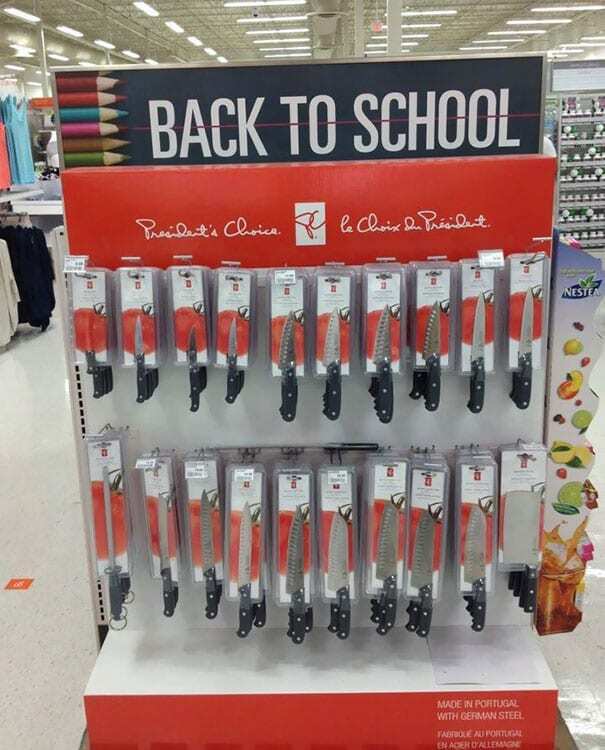 If not, then we’re not really sure how this could help kids going back to school and the store may want to rethink it’s product placement. 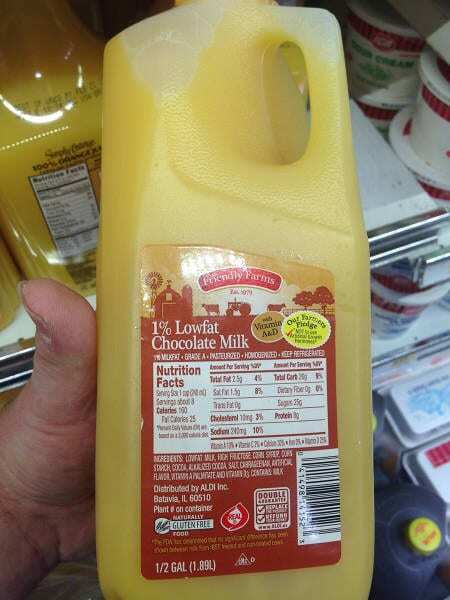 This chocolate milk looks a bit off. So here’s our question: who’s to blame? The guy or girl filling the bottlers or the person responsible for sticking the label on. Either way, we really hope no one grabbed it without paying attention. The two flavors don’t even look alike, how do you mix them up? It’s pretty easy to tell that cherry should be the red and green apple, well green. 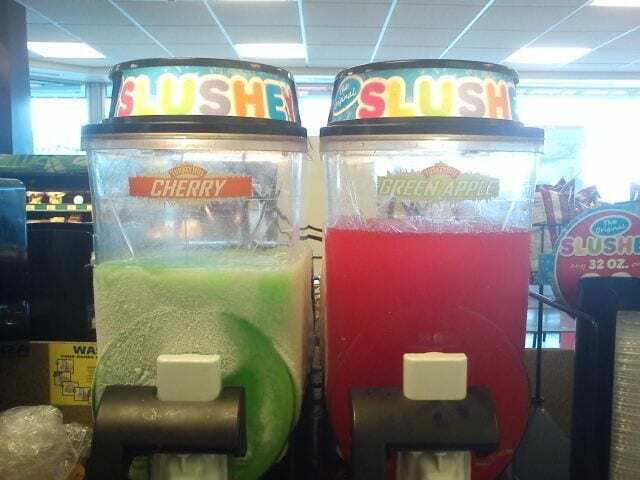 Hopefully no one was confused by the placement of the slushies and got the flavors they wanted. 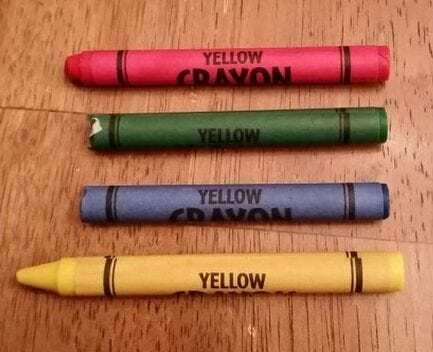 That’s a lot of yellow, and makes you question whether the person manufacturing these crayons was trying to be funny and confuse kids, or is actually color blind. We’re not even sure which of these options is worse. 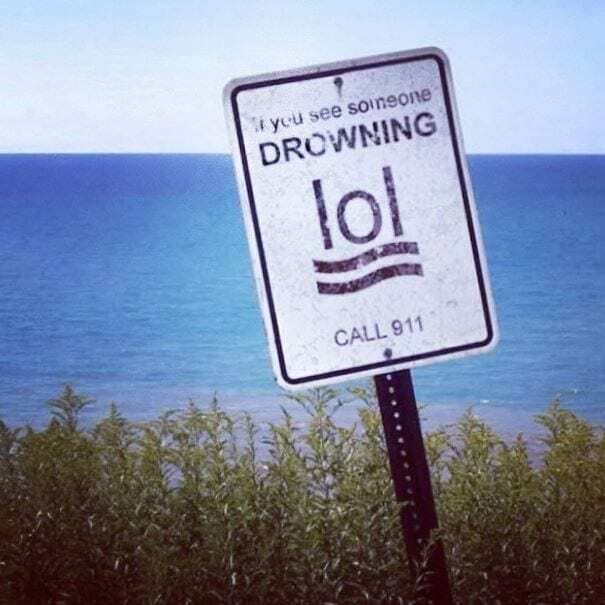 Drowning is no laughing matter, and yet this sign has one big LOL on it. Hopefully the sign was designed and placed by this beach before acronyms became a part of our everyday language. And that if people see someone drowning they take action before snapping a picture. 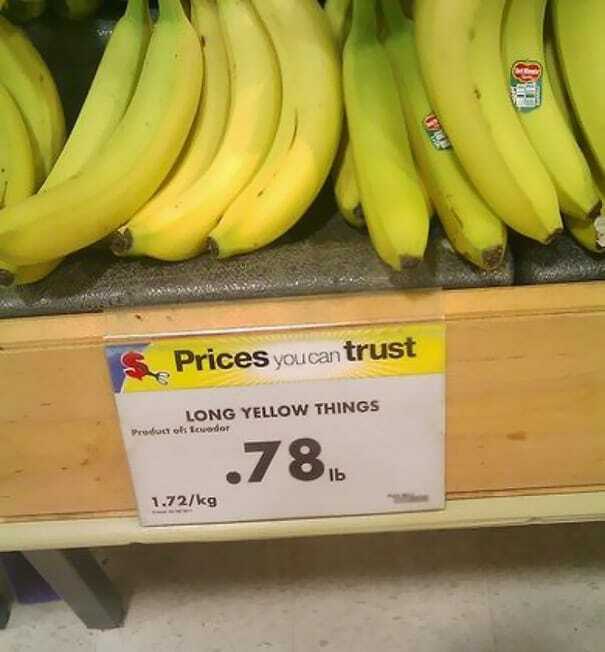 That’s one way to describe how banana’s look, “long yellow things.” But is there anyone out there who really doesn’t know what a banana is called? Doesn’t it say it on the sticker? The store may have prices you can trust, but the employees? Maybe not so much. 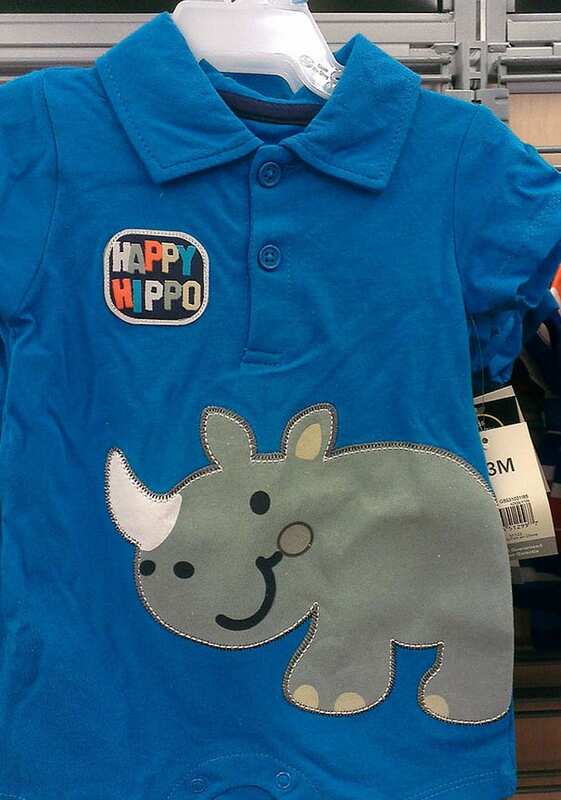 Whoever designed this shirt may need to go back to elementary school and re-learn which animals are which. Rhinos and hippos may have similar qualities – they’re both large and grey – but there’s one large, white difference between them. 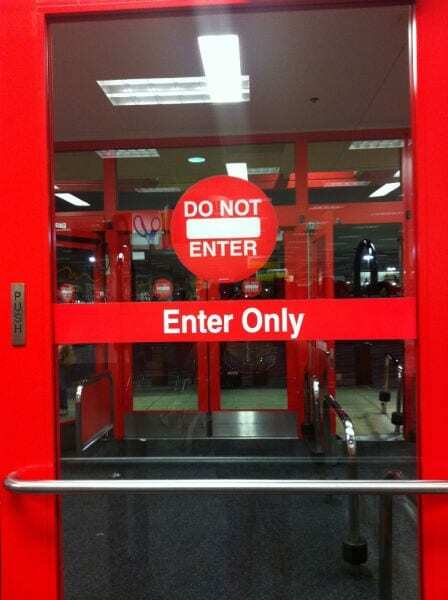 How long would you stand by this door trying to figure out whether you can enter? You wouldn’t want to make a mistake and end up in a stampede of shoppers and carts making their way out of the store. 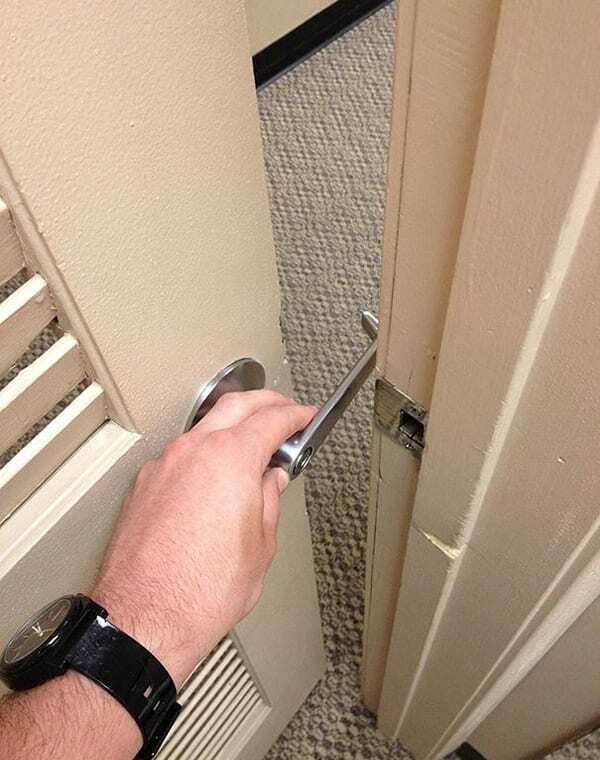 It may just be easier to find another entrance. 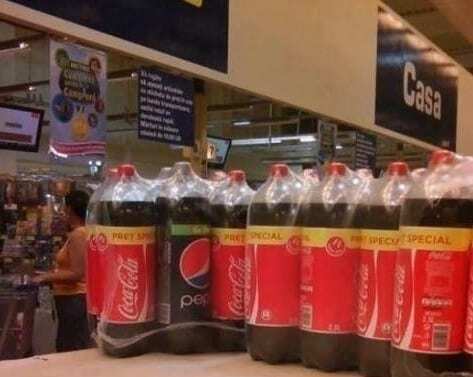 There are Coke people and Pepsi people, and it’s safe to assume the Pepsi people wouldn’t be too happy to see this supermarket setup. But it may lead to a fun game where employees actually test customers to see if they really can taste the difference. It’s colorful and eye-catching, but it’s also an eyesore, and when you read it out loud it’s a bit morbid. The employee who wrote this may want to get checked for dyslexia, or at least grab a few more zzzz’s before coming to work. 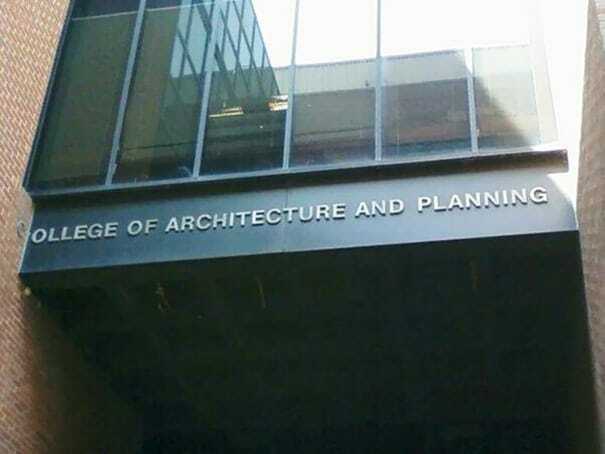 We really hope whoever designed the name placement on this building wasn’t a student, or former student, of the university. 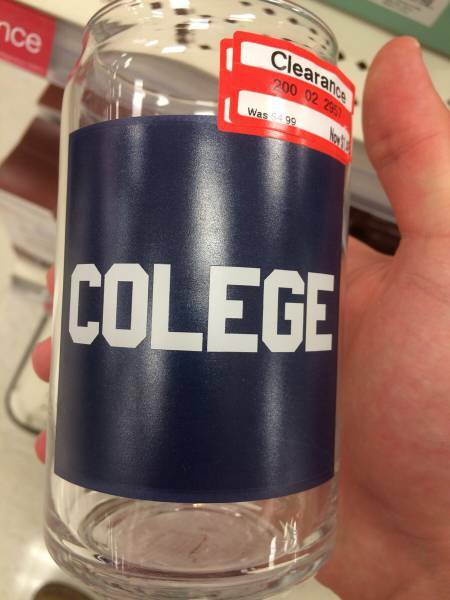 It really wouldn’t give the “ollege” a good name. But it does make for a great story and some publicity, and maybe one lucky student could get to redesign it. 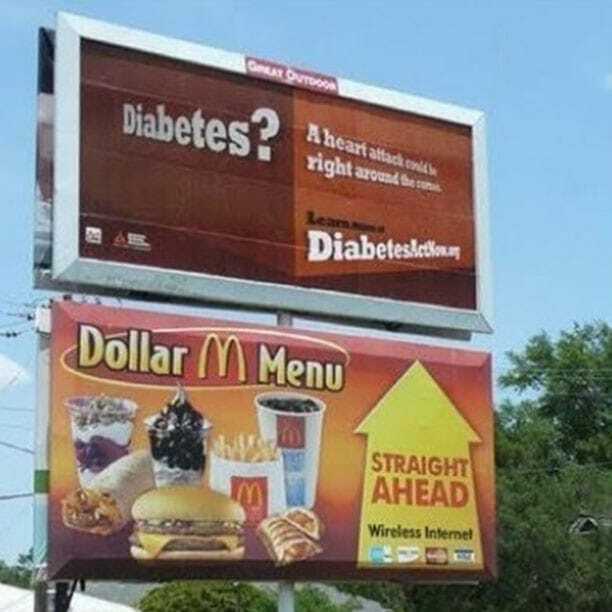 It couldn’t have worked better if they planned it, or maybe they did, even though I doubt McDonalds really wants you to associate their food with diabetes. But let’s face it, although the sign may be funny and ironic it’s completely true. Just look at that ice cream. How does this happen? How go you even get a shirt on a mannequin like this? 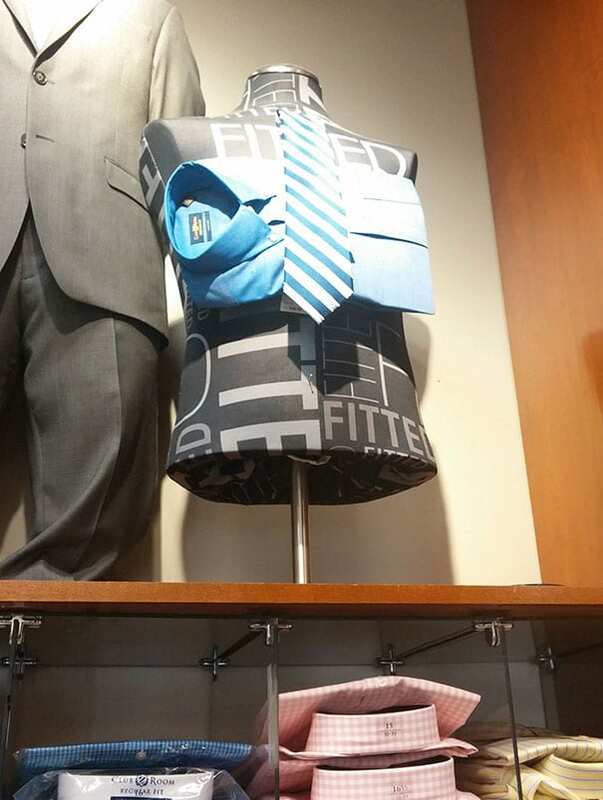 It looks as if it may have actually been more work than dressing the mannequin itself. At least the employee did find a way to show that these colors really do go together. 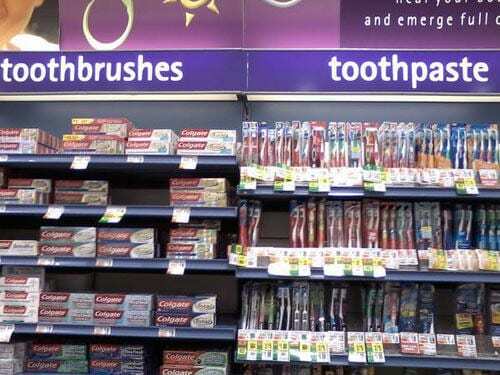 The employee who was tasked with either setting up the toothpaste and toothbrushes may have wanted to see how many customers they can confuse. It’s an easy mistake to fix, but hey, it’s all the same area right? So it’s more entertaining than harming to the buyer (as long as the price tags are right). There are two scenarios with this sign: 1. 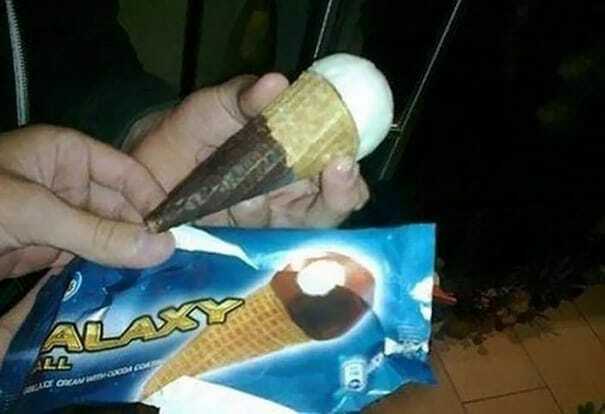 The person who designed this actually made this mistake, or 2. They’re getting their point across really well. If it’s number two, then great job guys. But if it was the first job, c’mon man. The guy who designed this van is sending us some messages. 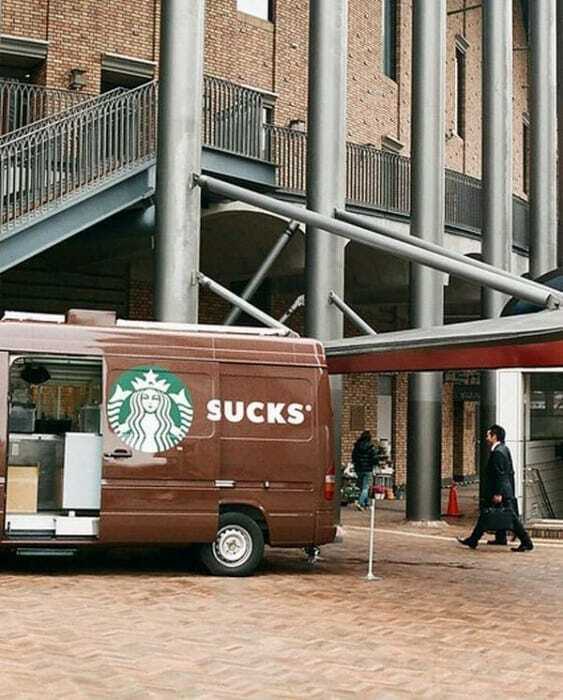 Those who are Starbucks lovers are probably fuming at the sight, but the Dunkin’ Donuts fans are somewhere laughing until their sides hurt, agreeing with the van. If there is a new way to play basketball with a racket and a small plastic ball, then we missed the memo on this. 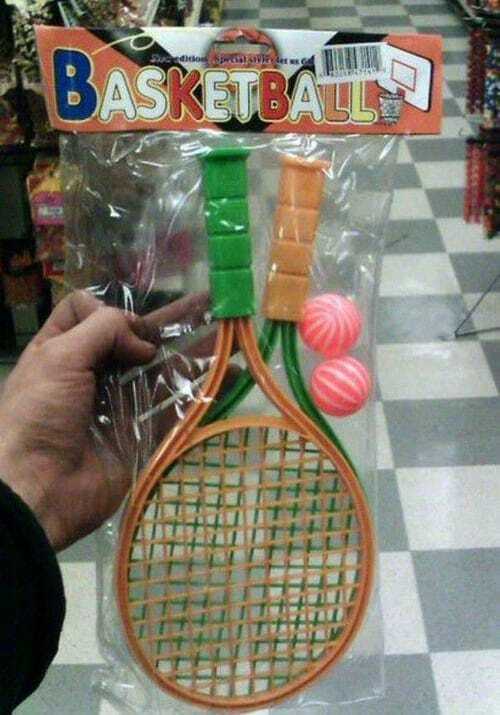 It could be an interesting game though, if the racket can actually hit the ball hard enough to launch it towards a basket. We’ve all had to choose our favorite superhero, and let’s be real, it’s hard to choose just one. 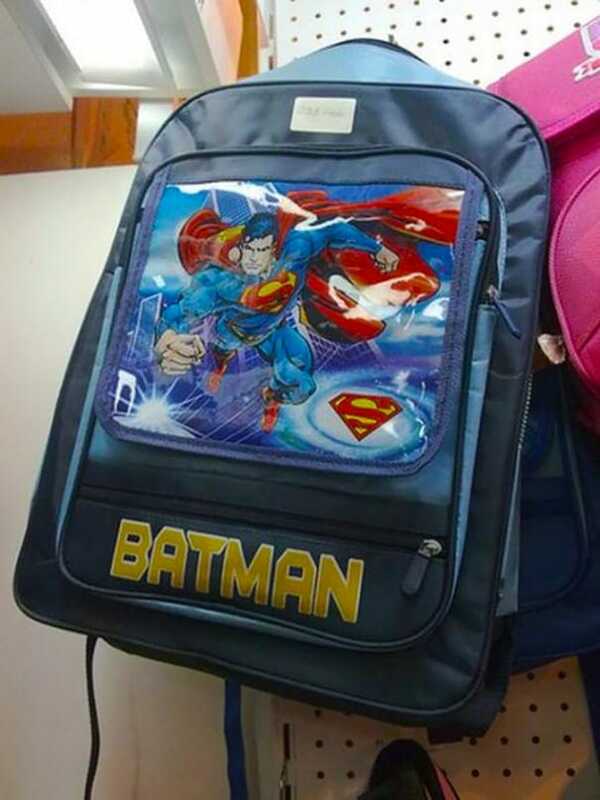 So why not make use of this mistake and buy a bag that let’s you admire Superman’s looks while also showing the world you’re a Batman fan. 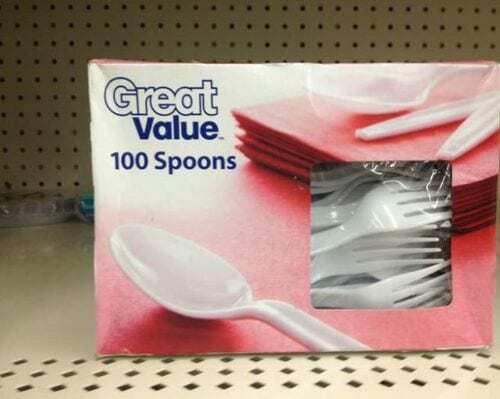 If it were a spork, we may be a bit more forgiving. 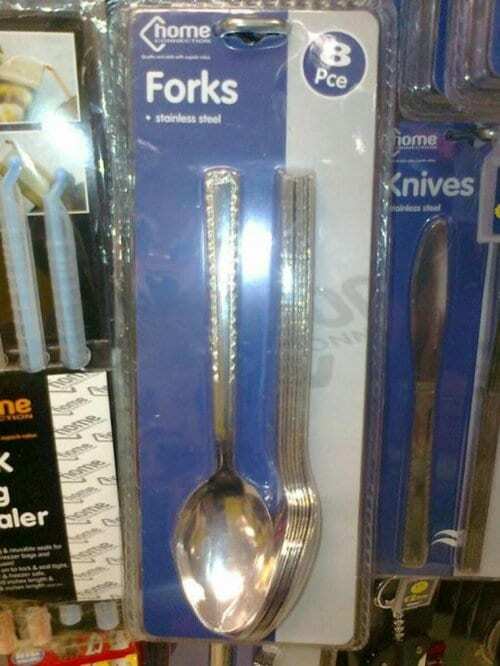 But c’mon, someone had to notice that they’re putting the wrong type of cutlery in this packaging, or vice versa. It could make your next meal much tougher to eat. This would make crossing the street even more confusing for people with disabilities, especially for blind people who really need this box. 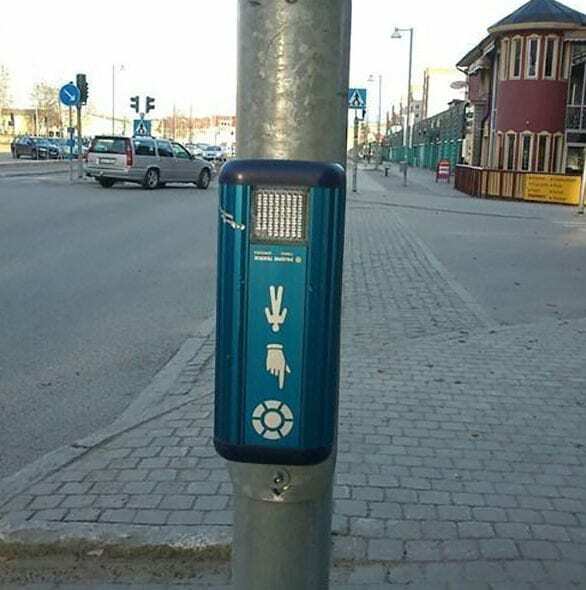 Hopefully they can still feel around and find the right button to help them cross the road. Unfortunately for them, they probably wouldn’t get a laugh out of it like we are. Forget privacy, this phone booth wants to make sure everyone on the street can hear what you have to say, and in British style. 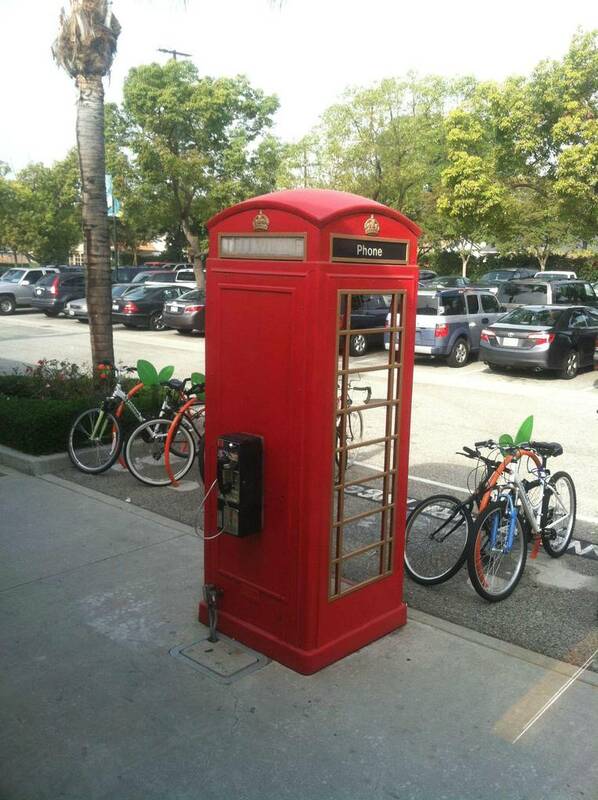 From the look of it, this picture was taken somewhere in the USA, which makes the design of the phone booth and the placement of the phone itself even more interesting. Also, is there anyone who still uses phone booths? 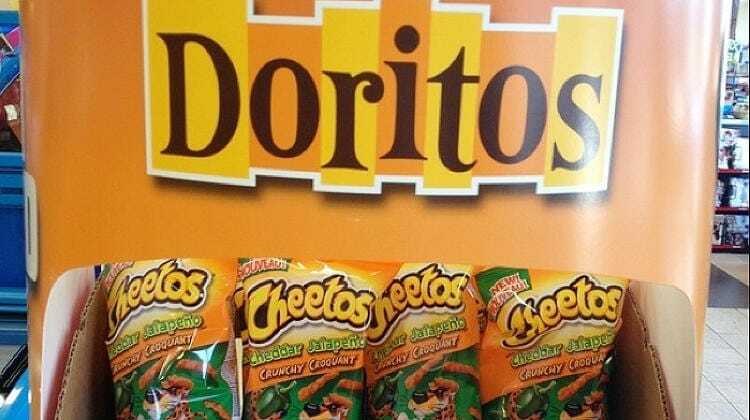 Doritos and Cheetos have one really big common factor: cheesy goodness. But other than that, the two companies and snack foods are very, very different, so how did the employees get it so wrong? Let’s hope someone doesn’t accidentally take the wrong snack, it wouldn’t be so pleasant to bite into the wrong thing. Who wants to be the one to figure out which bathroom is the correct one for which gender? 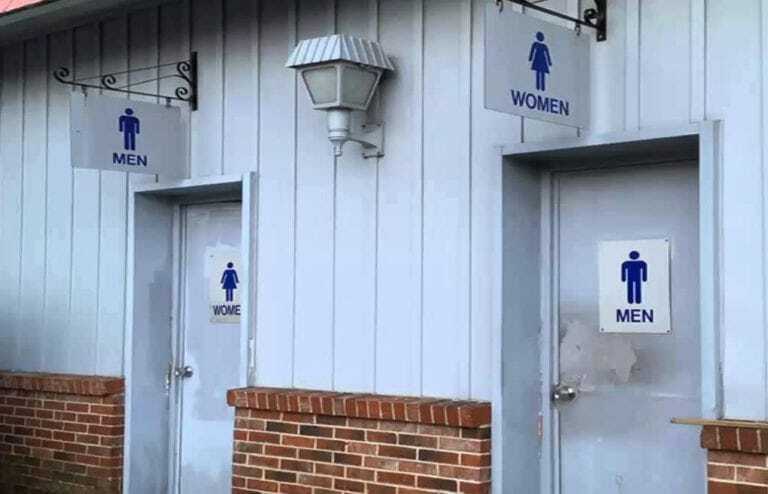 From the look of these bathrooms, we wouldn’t want to go into either, but someone will have to do the job and help out whoever made this mistake. Hopefully there are urinals inside to help differentiate between the two. 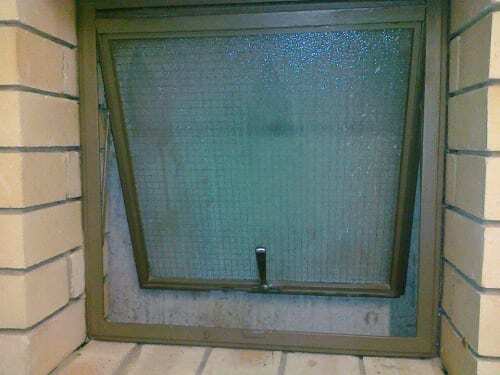 Windows can be interpreted in many ways. They are a physical hole in a wall that brings light into our room and a metaphorical entity which symbolizes hope and open-mindedness. Well, not in this case. This window is so many things, hope or wisdom is not one of them. This could be ideal for a group of people who wanted half cheese, half pepperoni, but we doubt that was the actual situation. 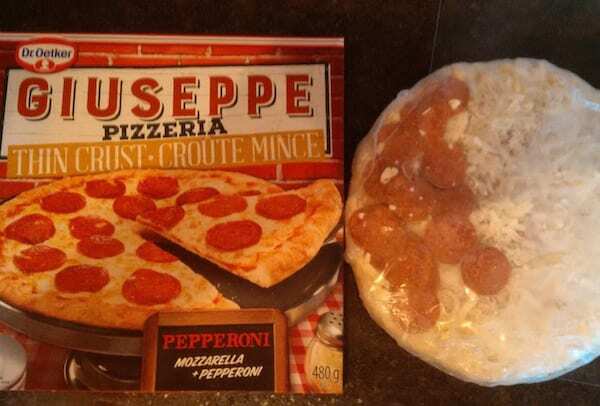 Usually when you purchase it frozen, you’re going all in on the pepperoni. We really wonder whose mistake was this? Did the pepperoni just slide on down at some point? These guys work extra hard, a whole nine days a week. The rest of us should be seriously ashamed. I wouldn’t mind if weeks were actually nine days, but only if we still had to work five. Could you imagine having four day weekends every week? We’d love it, but the workers at this supermarket may get the short end of the stick. Did the employees responsible for making these new, bigger bags even measure the size of the old ones? It really doesn’t seem like it. 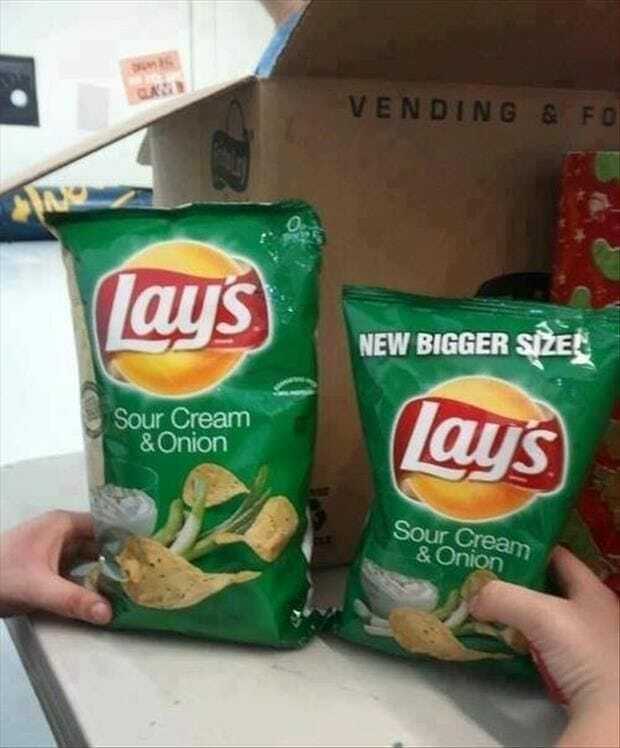 Someone at Lays should have gone back and looked at their old bags before they decided to market these new ones as “new bigger size!” Unless, of course, they’re talking about the chips themselves. Makeovers are always great. You tune in to see what the room or person looked like before hand and wait to be amazed. 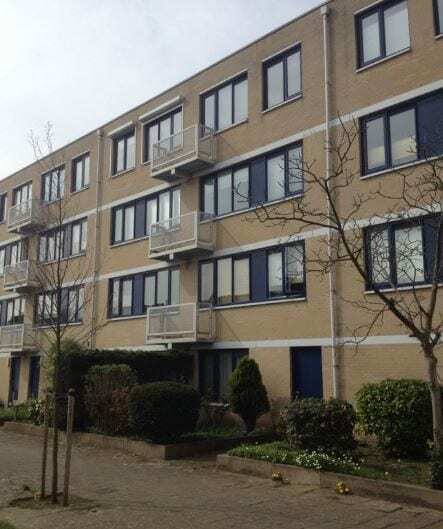 In this case, you may be more amazed about the company’s failure to notice the accidentally swapped the pictures (at least we hope it was accidental). 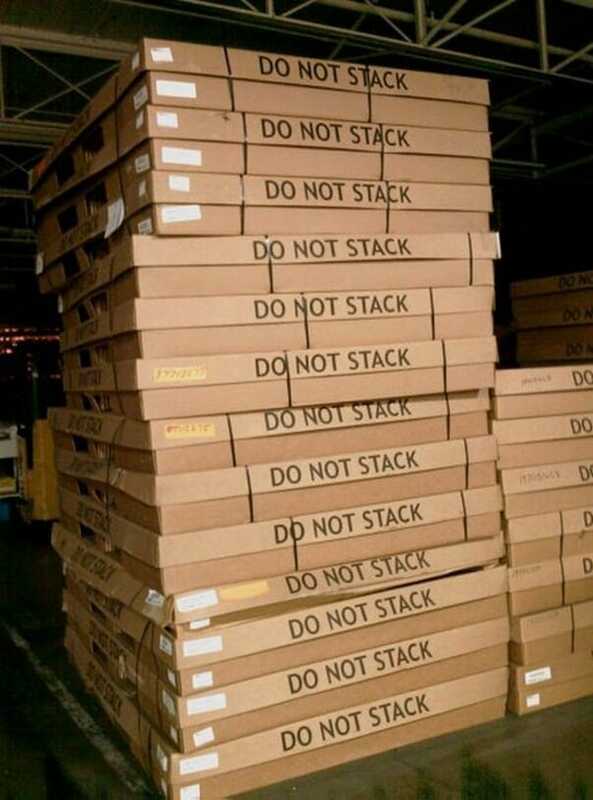 The warning is written all over the boxes, the workers couldn’t possibly not notice that you should not stack these boxes. But hey, at least we now know that these warnings may just be more of guidelines and suggestions? For anyone who has an extreme case of OCD, we suggest you look away. 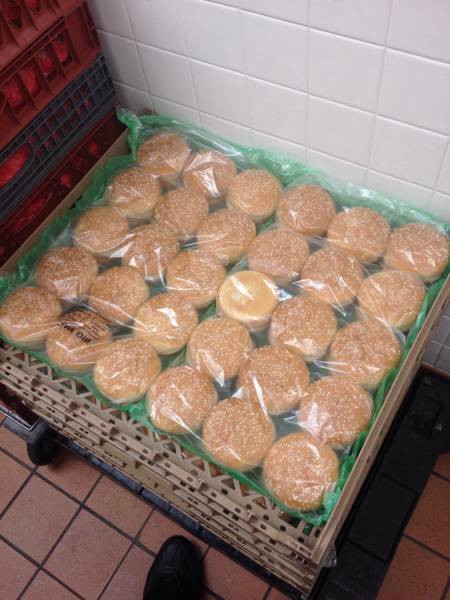 Perhaps that’s why whoever packaged these turned one bun over, to see how many people he or she can make cringe in the process. We definitely fell into the trap. 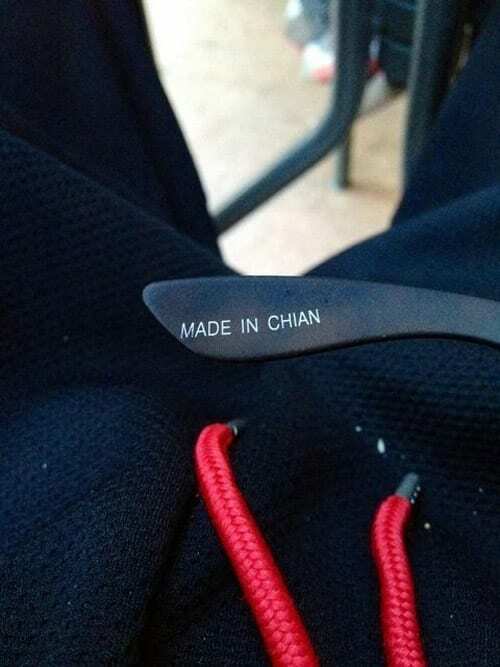 We’ll save you the time, do not look up Chian, it does not exist. 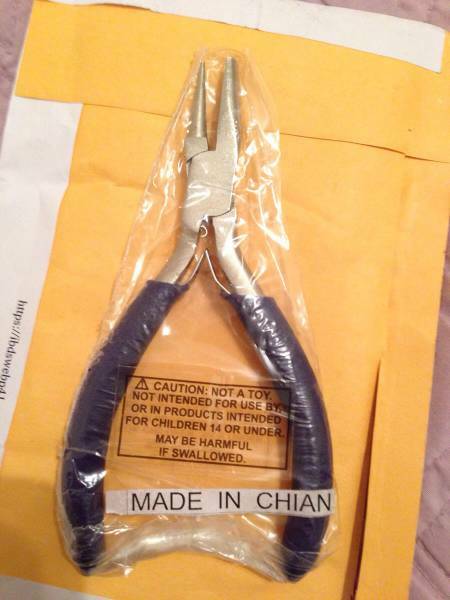 Whoever printed this label must not have been paying attention when they were writing out China, one of the largest manufacturing countries in the world where so many of the things we purchase are made. Even if those with handicapped tags are able to get their cars onto this narrow block of sidewalk, how are they expected to get back over the little curb? 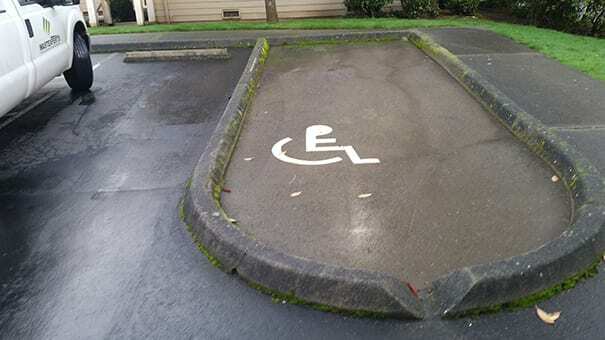 We really hope whoever did this wasn’t expecting to be creative by making a unique spot for the handicapped. 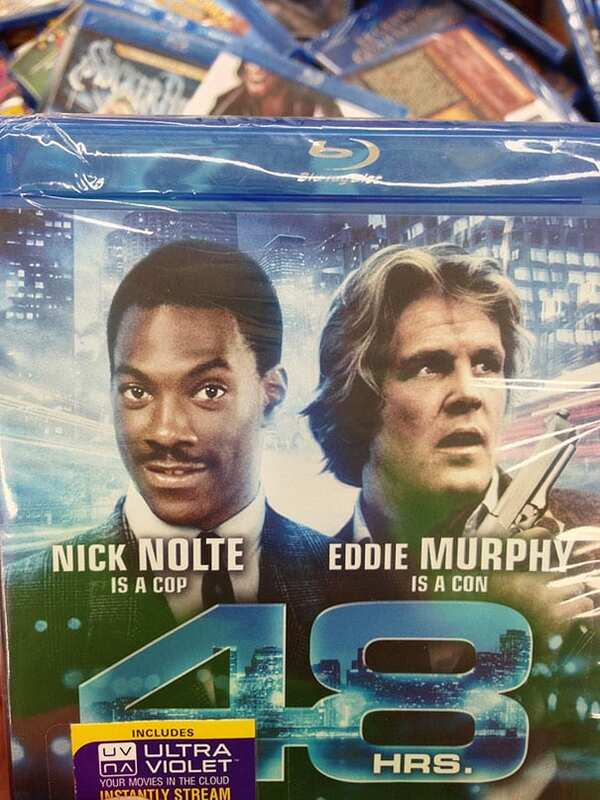 If you had never heard of Nick Nolte or Eddie Murphy, this Blueray cover will look totally normal. But for anyone who actually lives on planet earth and has heard these names, you’re probably wondering how the names and images were swapped. Are they trying to keep us on our toes? Where did you go to “colege”? Well, it’s easy to see why this jar was on clearance, they’re probably trying to get as much as they can out of a product that will likely never sell. Even the starting price is somewhat of a joke, $4.99 for a jar made by someone who likely never learned how to spellcheck in college. They both may be summer foods, and yes you will likely find both of them at a barbecue, but it’s pretty hard to confuse a large, round watermelon and a smaller, but long piece of corn on the cob. 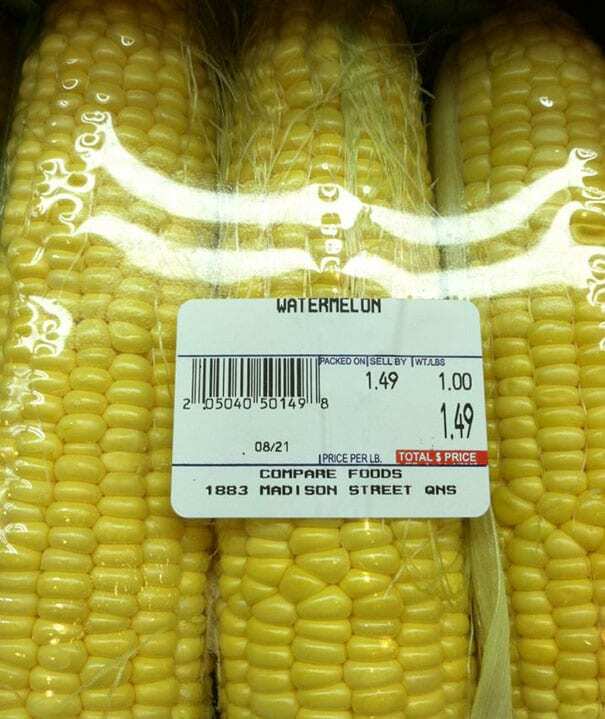 But hey, if anyone can find a watermelon at that price, give us a shoutout! 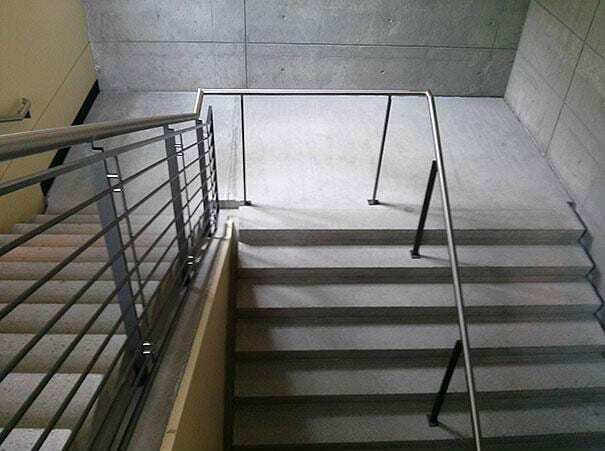 Whoever designed this staircase must have really hated taking the stairs, so much so that he or she didn’t want people using half of the stairwell. How many traffic jams do you think this could cause on a busy day? The design for this kitchen corner couldn’t have been any worse. First, only one drawer can be opened at a time, and only half way. 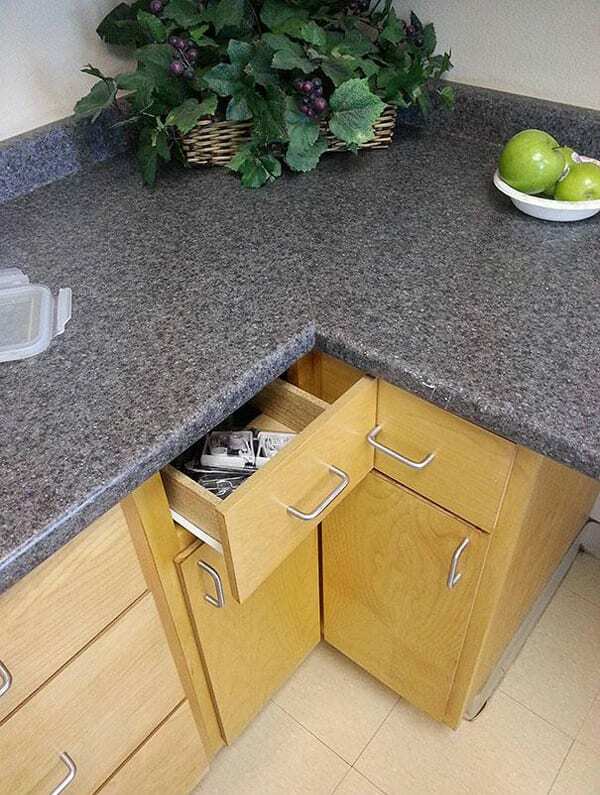 When looking down to the cabinets, you can’t open both at the same time, unless you only want to open them half way. These people may want to ask for their money back. Was there a warning sign by the street that could have prevented this paint job? 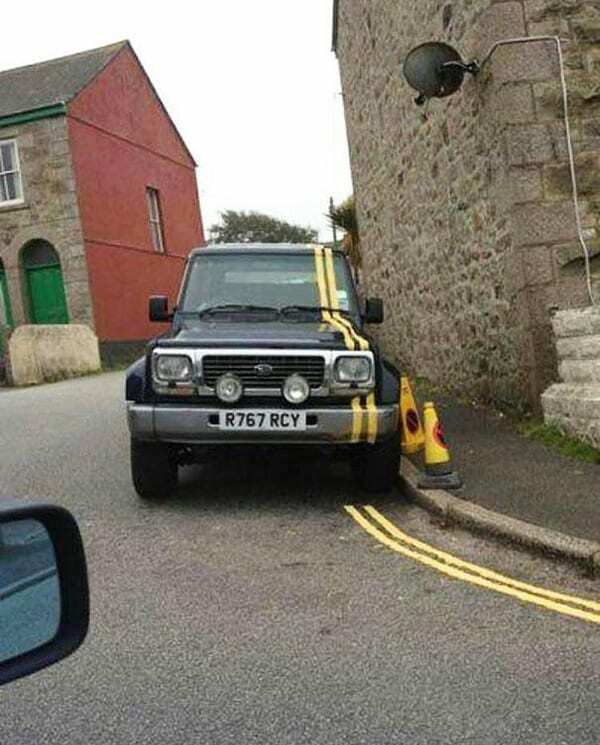 Who knows, but as for the driver, how mad do you think they are? It actually looks kind of good on the SUV. 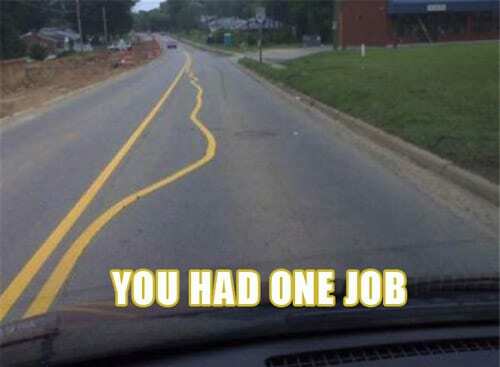 On the other hand, the guys who painted the stripes will have to come back to fix their mistake with the road. 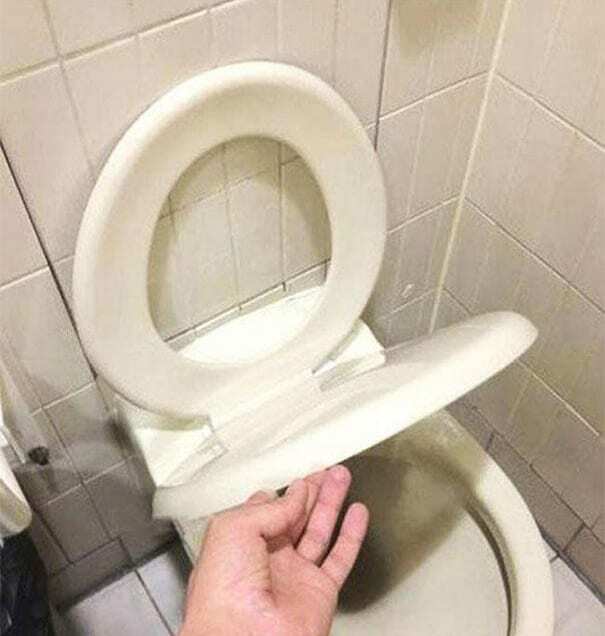 Forget putting the toilet seat down, in this case you have to put up everything just to crouch to go to the bathroom. Just be careful not to slip on the wider rim, and don’t sit on anything uncomfortable. Now, you can scare all your friends with this giant, plastic cockroach? 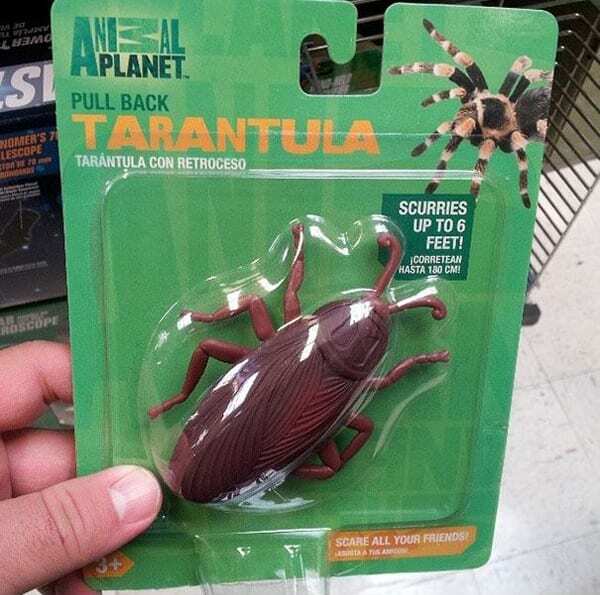 All you have to do is look at the packaging and realize that the toy inside is not a tarantula, and even though cockroaches are gross, they may not be as scary as a tarantula, even if it does scurry up to six feet. What was the point of this colorful road block? The gate isn’t even large enough to block a sidewalk entrance for pedestrians. 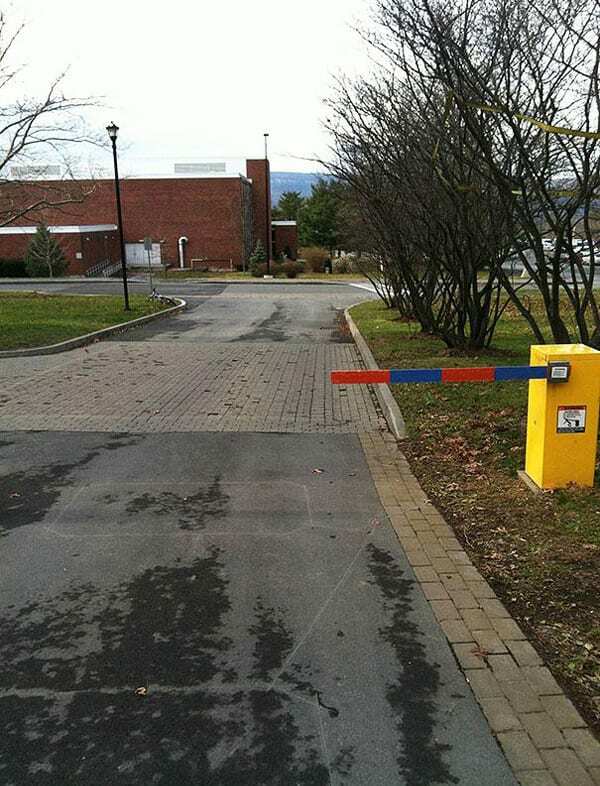 Hopefully the school’s other security is better than the useless road block, because this thing is not keeping anyone out. Working in the news can be a stressful business, especially if you have to make some adjustments right before you go on air. But forgetting to write a persons name in? That’s something new. At least it helps this guy. 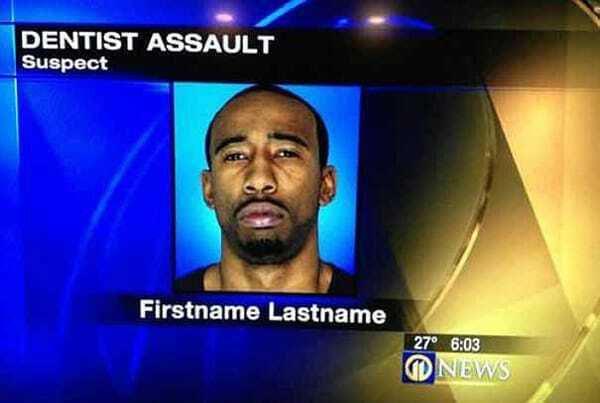 Since now no one knows his name, they just know he’s suspected of assaulting a dentist. So which one is it? 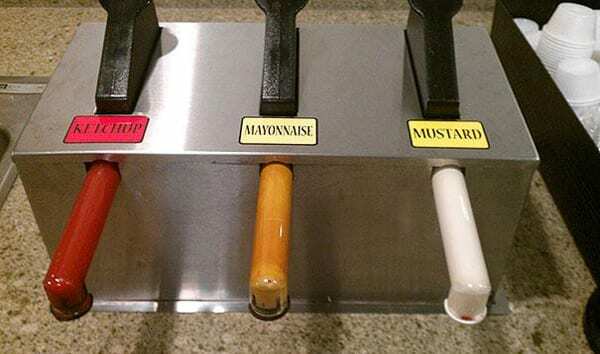 Is the one on the right full of Mayonnaise like the sign says or mustard like the color says? Thankfully the restaurant has those little bowls on the side so you can pump some out and solve the problem. We Wouldn’t want to put the wrong condiments on our food and ruin lunch. Those onions look real funky…. 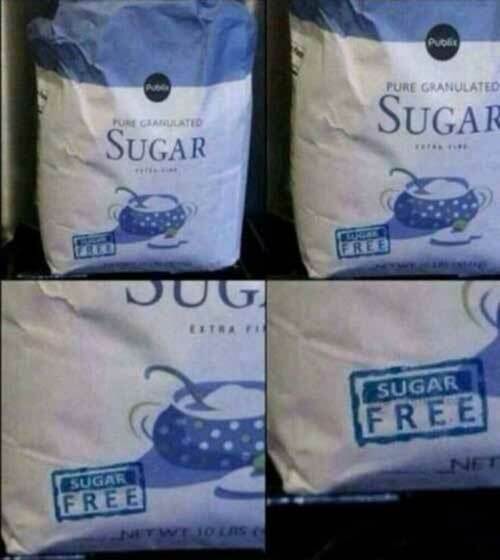 If it were one bag, we’d understand that it could happen by mistake. But this many? 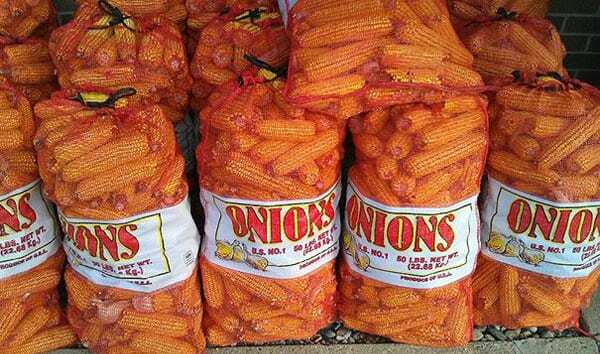 How do you not notice the large label reading “ONIONS” and that you’re packing them with corn? The label even shows you what the onions are supposed to look like. This is like every parent’s dream, when they want to make sure their kids aren’t getting into any trouble alone (or not alone) in their room. 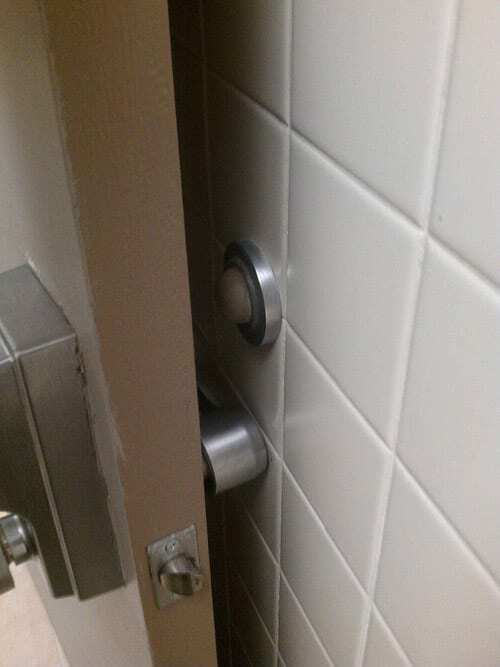 Needless to say, it looks like an amateur took care of fixing this doorknob, and it may be time to call a professional. Someone at Rubicon may be losing their job, or at least getting a serious talking to. How many people do you think were confused by the top? And how fast can you drink the juice so it doesn’t go bad from being open? Let’s hope the fire department was able to move either the pipe or the door before they were called to save lives. If not, let’s hope they all took the stairs and didn’t injure themselves while sliding down. Any guesses on what the actual name of the supermarket is? Or how long it took them to fix the sign? 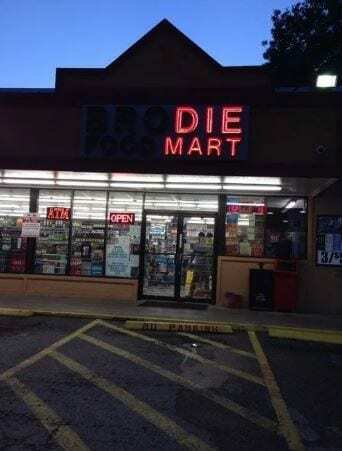 Or maybe how many customers they lost because they didn’t want to walk into the Die Mart, the scene of the next, big horror movie. One wrong letter can change the meaning of any word or phrase, and in this case, it turned out to be hilarious. 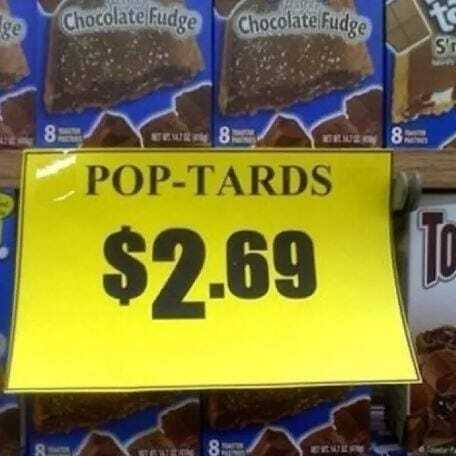 Who doesn’t want to eat pop-tards for breakfast? At least they changed the T and not the A. 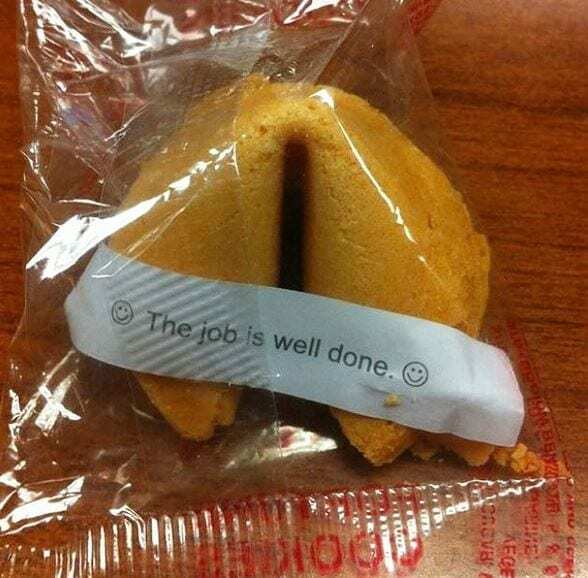 This cookie doesn’t need to tell you a fortune for the future, it already won. The employee who decided to have fun rather than take his job seriously is a winner in our books, job well done! The placement on this was oh, so, close. Just a few inches off. Hopefully people aren’t slamming the door into the wall, wouldn’t want it to crack with all the effort put into protecting it. 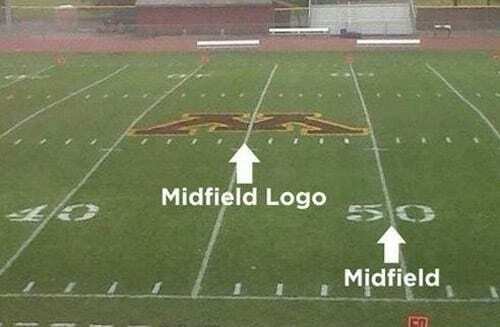 The Minnesota Golden Gophers probably wanted to fix this pretty quickly before the marching band or the players took to the field. Who knows, a logo off center could confuse the players as to where the ball is actually placed and mess up the marching band’s landmarks on the field and throw off their routine. Decorating desserts may not be a piece of cake job. 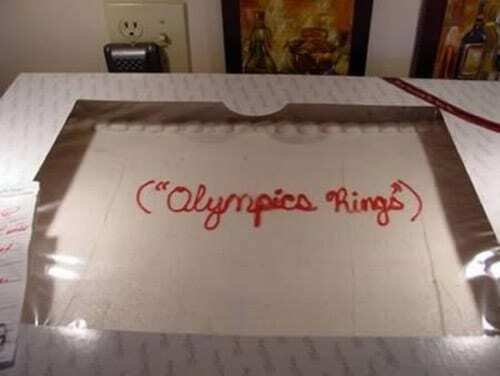 In this case, the person in charge of writing on this cake may have wanted to look up the Olympic rings on google before they took the instructions a bit too literally. We wonder which Olympic athlete or fan got a cake to remember. 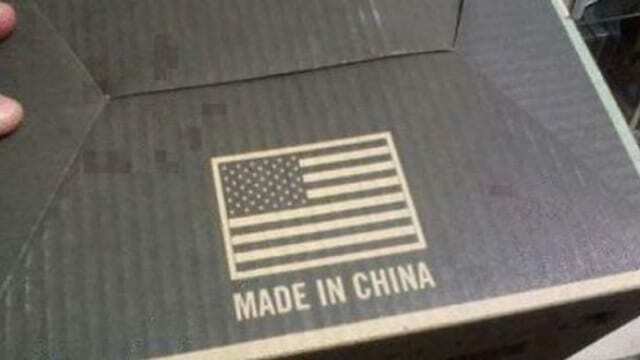 It was funny the first time, but a second employee who can’t spell China? It’s one of the biggest countries on the planet with over a billion people, I’m sure you’ve heard of it. But while we’re at it, look at the placing of the phrase, we almost had an ADE IN CHIAN. 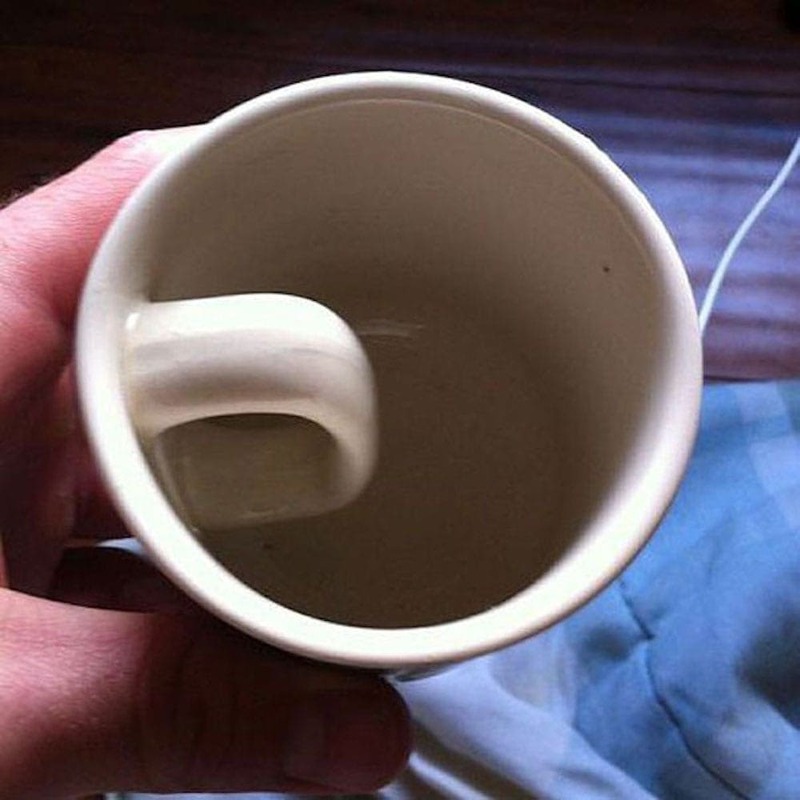 I wouldn’t want to be near the person who actually tries to grab this mug by the handle while there’s hot tea and coffee inside, and let’s not kid ourselves, there has to be at least one person who tried. What makes this even worse, it’s taking up some of the space usually meant for coffee. Don’t mess with our coffee. Fanta, you need a new printer. How does one print a can with the entire logo upside down except for the one phrase at the top, and the volume of the can. 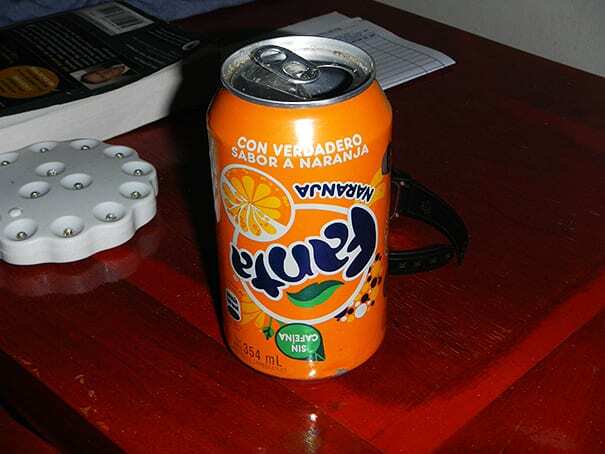 Thankfully for them we all know what Fanta is and will drink it even if we can’t read the can. 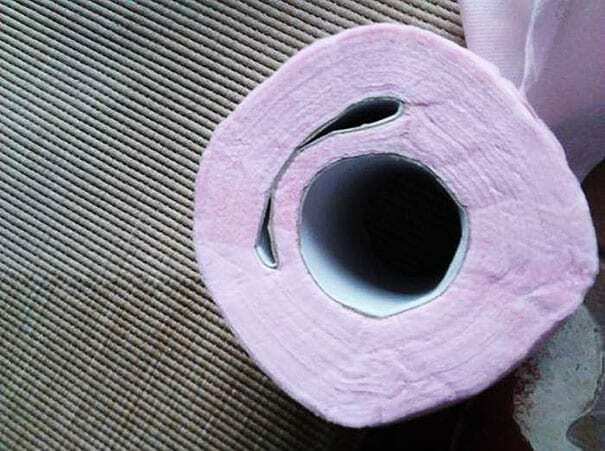 It looks as if one roll of toilet paper ate another one, like a bad dad joke about once having a twin in the womb. Needless to say, one roll won while the other got completely crumbled. 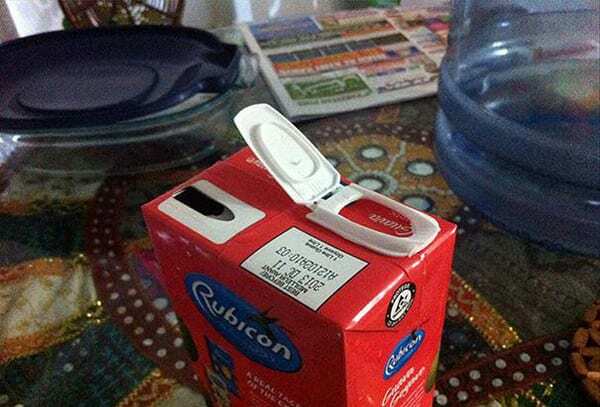 But the real loser: the person who gets to carton. 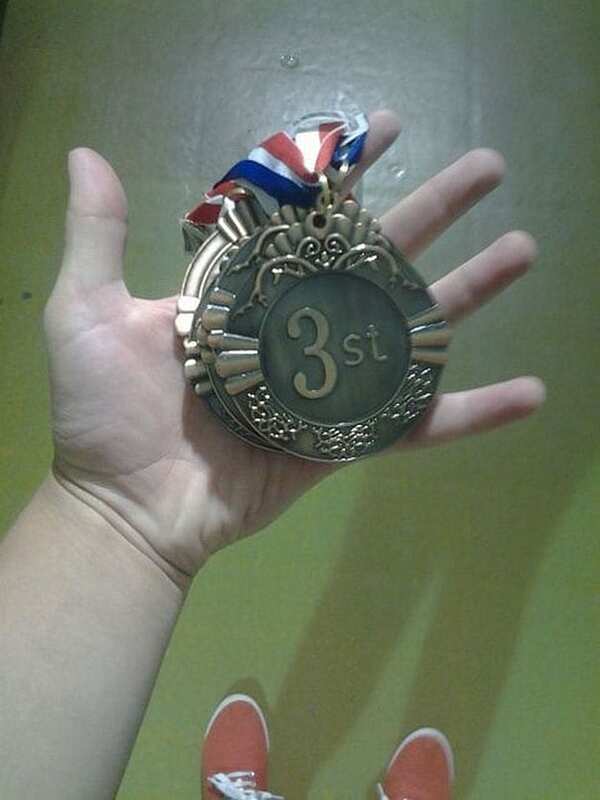 We’re not sure what competition this was, but it seems as if a child designed their medals. Honestly, it doesn’t really matter what competition this was, the organizers must be embarrassed and wondering how no one caught the mistake before they were handed out. We all learned from a young age how to tell our rights and lefts by using our pointer finger and thumb. 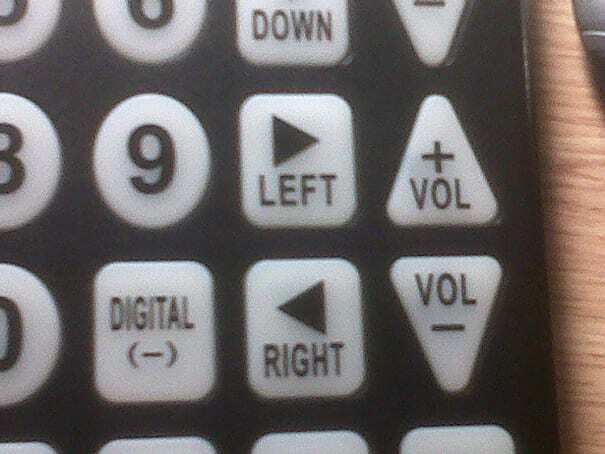 Apparently the makers of this remote didn’t learn that trick, and in adulthood are still struggling to figure it out. Too bad for them the world now knows. 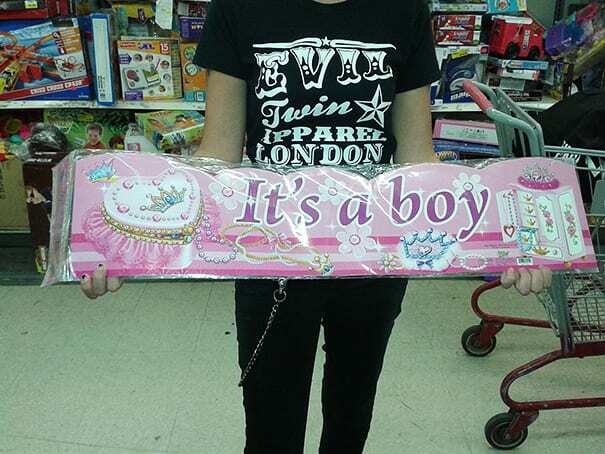 Maybe we should give the designer of this banner the benefit of the doubt that they are creating banners that promote gender equality. Because, c’mon, when a child is born who are we to know what kind of person they will become? Maybe they’ll look back and say, hey, how’d you know? Let’s hope they’re still filled with the real chocolatey goodness and not the other kind of brown stuff referred to on the sign. 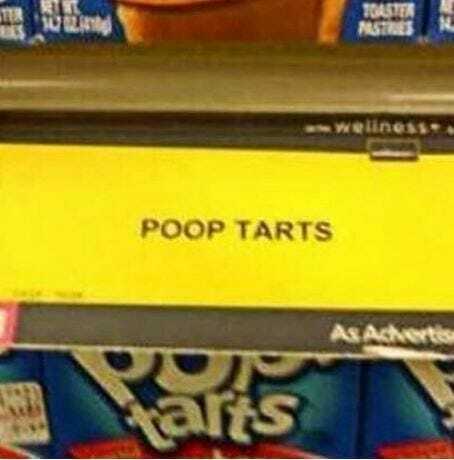 I wouldn’t want to be the first person to buy them and be surprised by what’s really inside. There’s so much to look at where do we start? How about the fact that it’s in the middle of what looks like should be separate apartments, but hey, neighbors can always share. There also aren’t any doors, meaning these tenants really have to work for a relaxing breath of air on the porch. There are probably plenty of women who have tried a urinal, either because they just wanted to try it or they couldn’t hold it and had to run into a men’s room and use what’s available. But have enough grown accustomed to using urinals that putting them in the girl’s room became a thing? I’m hoping this is just a mixup with the signs. 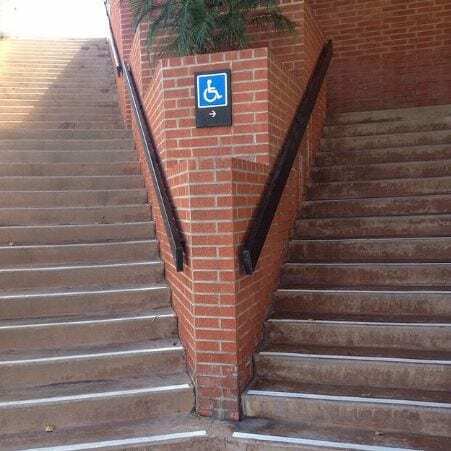 If there are stairs with a handicapped sign, we would at least expect one of those mechanical chairs that carry you up to be attached to the side. But nope, not in this case. Here you just have a big problem that was hopefully fixed by now to accommodate everyone. 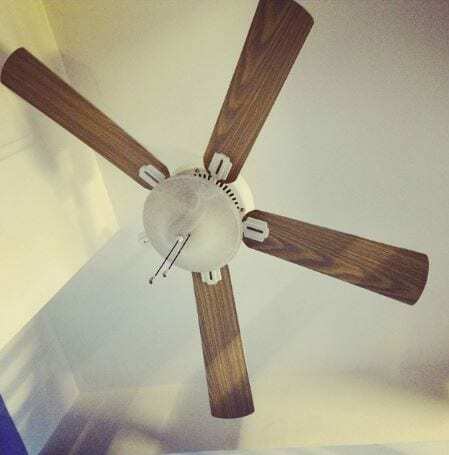 From a quick glance you can notice that the fan is broken and missing a wing, but when you have what looks like a wall or door in it’s path, what do you expect to happen? Just a few hits at a high speed can knock one of the panels right off. 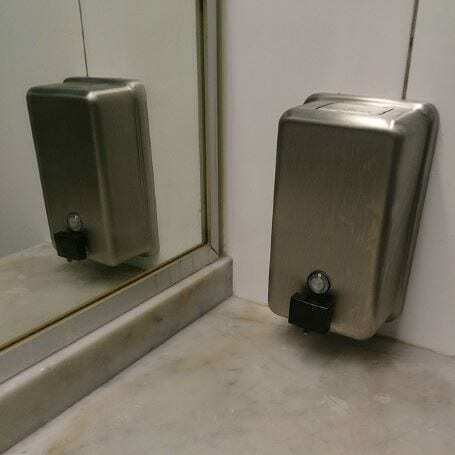 How long do you think people spend standing in this bathroom looking for ways to stick their hand under this dispenser to properly wash their hands? We hope they found a way and didn’t walk out of the bathroom without washing their hands. 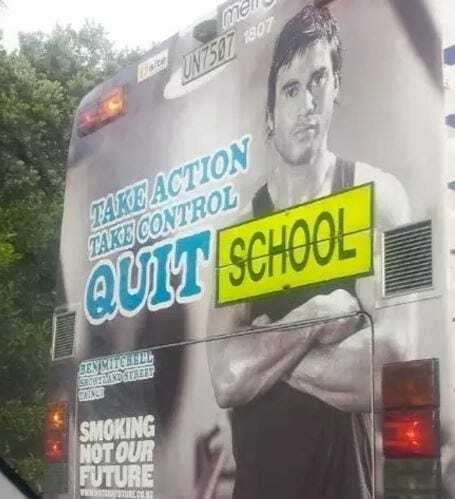 This is what happens when you put advertisements on school buses. Poor planning for this quit smoking add must have given at least a few teenagers the grand idea that it’s cool to quit school. Let’s just hope they didn’t quit school and pick up smoking. We’ve all seen these signs before, reminding workers to wash their hands after using the restroom. 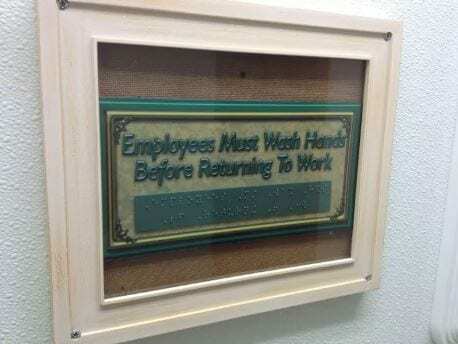 Thankfully this company took it another step further, and made a reminder for their blind employees as well…except they framed it and you can’t actually touch the brail. Would they even know to look for it? Mismatching road signs are a dangerous thing, and we probably shouldn’t be laughing about it. But this is pretty laughable. How did the people who hung the sign make this mistake? Or perhaps forget the part of the light that says when you can turn left. We’ve seen this many a times, a news channel rushing to get on air and making a careless mistake that makes us laugh and laugh. How are we going to know what to call this man on the street when he stop him to tell him we saw him on TV and completely agree with him? Okay, let’s be honest. This wasn’t a mistake. Someone, whether an employee or a customer, thought this would be funny, and it is. 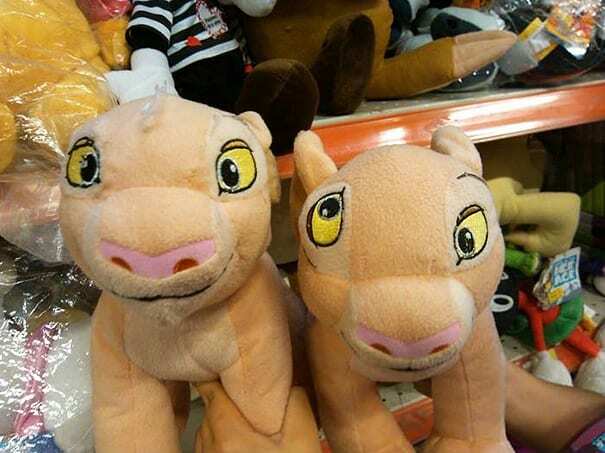 The fact that no one noticed it and switched it back is even funnier. Happy holidays everyone! In case you didn’t realize, we do not live in Middle Earth, and there aren’t any moving trees on our planet. 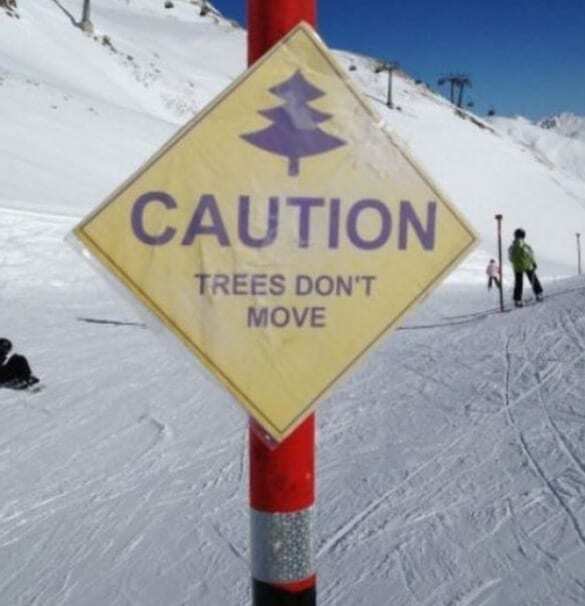 But in case you didn’t know that, this ski resort has a sign to remind everyone that trees are not ambulatory and that you need to ski or snowboard around them. Someone at Target misunderstood the memo. 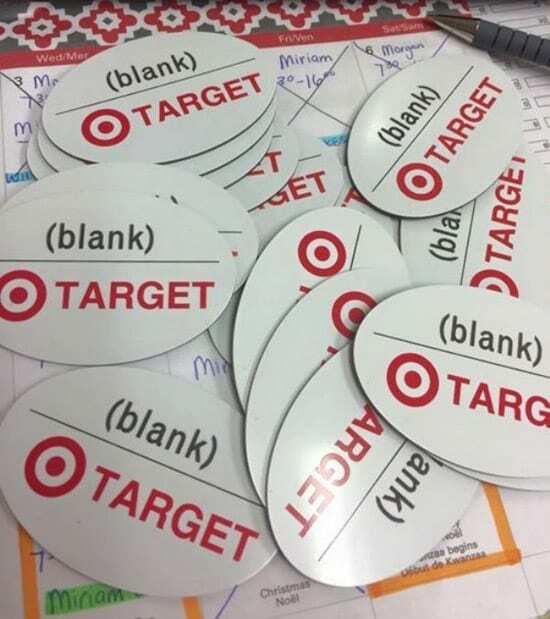 Odds are they were told to make a bunch of name tags that are blank, and the employee took it a little too seriously. Regardless of why it happened, it’s a perfect set up for a dad joke. 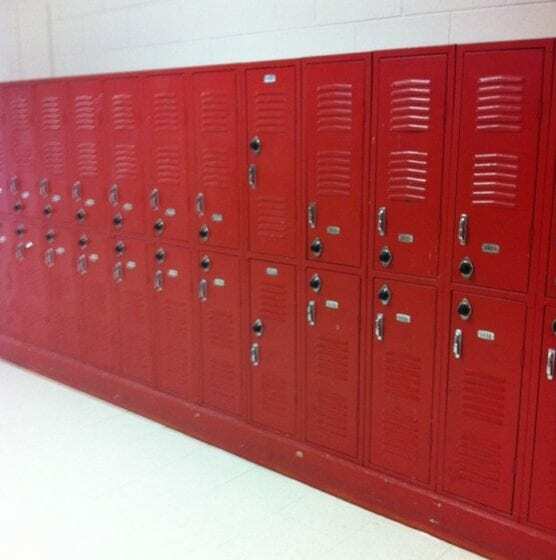 We hope these lockers didn’t belong to any students with OCD, because there’s no reason to make high school even tougher for students. But it looks as if they still work, so they don’t even give students an excuse for not getting their stuff out of their lockers and go to class in time. Someone wasn’t paying attention to the stickers they were using, because even the least educated people know the difference between a square and circle. We wonder how many stickers this employee (mis)placed before realizing their mistake. Of course the FREE will catch anyone’s eye, but in this case we suggest you read the fine print. Buy 3 get 0 free is a great bargain, for the supermarket. 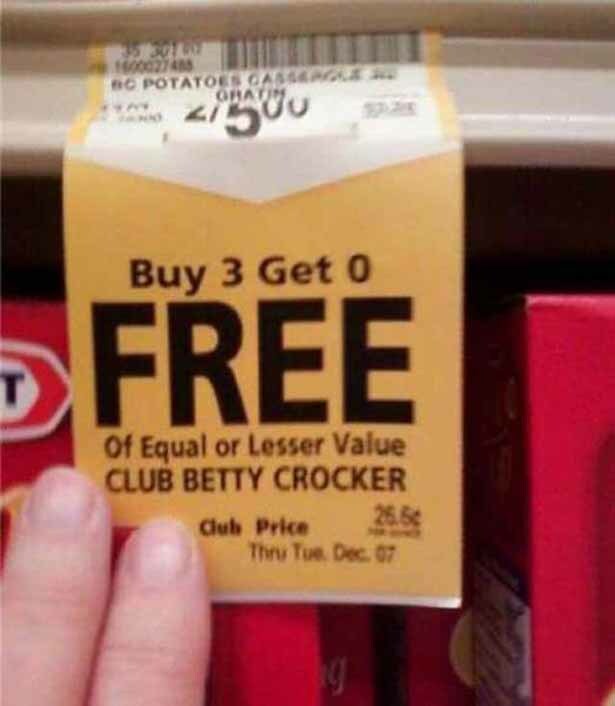 Sorry all you Betty Crocker lovers, this isn’t your day for a deal. Uhh, really? Does someone not know the difference between bar soap and liquid soap? 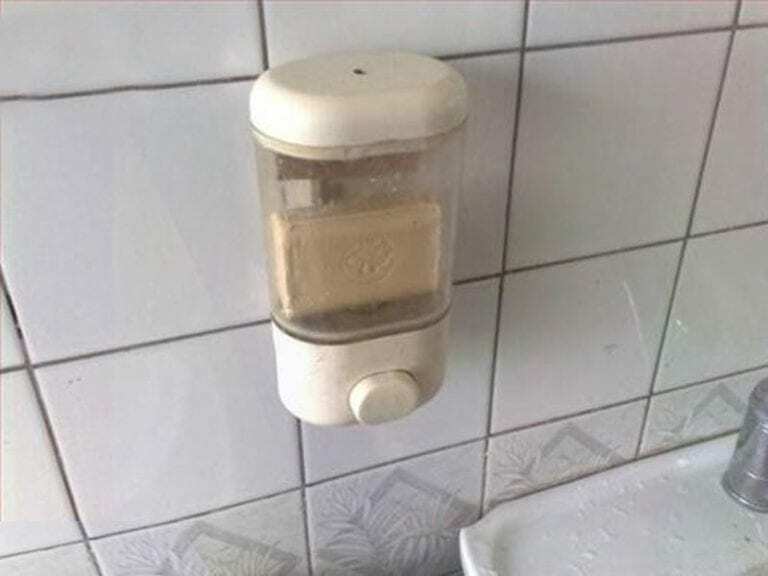 At least no one can complain that there is no soap in the bathroom. There is, you just can’t get to it. 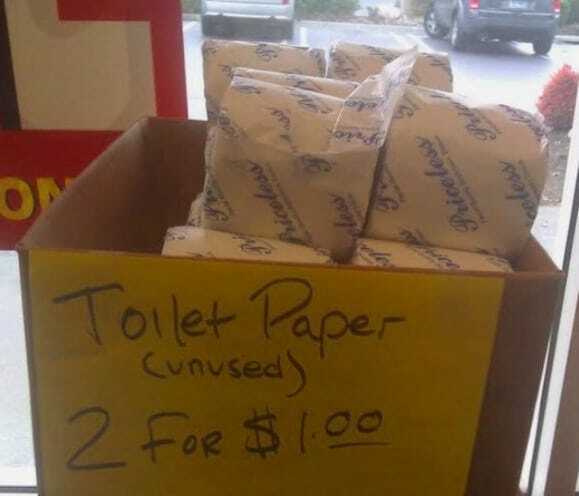 We would hope that the “unused” was already understood, considering the toilet paper is still rolled up around a cardboard sphere and wrapped in tissue paper. Would anyone really try and sell used toilet paper? We’re not sure anyone would buy that. Unless, maybe, it was used by a celebrity. 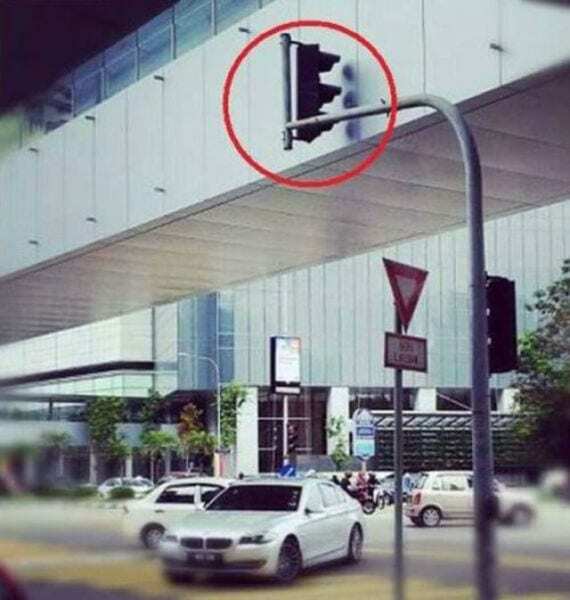 Which came first, the bridge or the traffic light? That’s a serious question, it will help us figure out who is to blame for this stupidity. 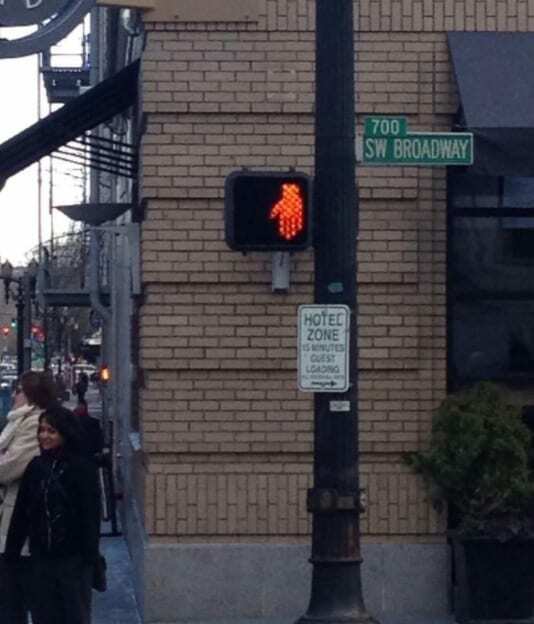 Who is even supposed to be using this traffic light? This picture brings up so many questions. George, George, George of the jungle…. …watch out for that tree. 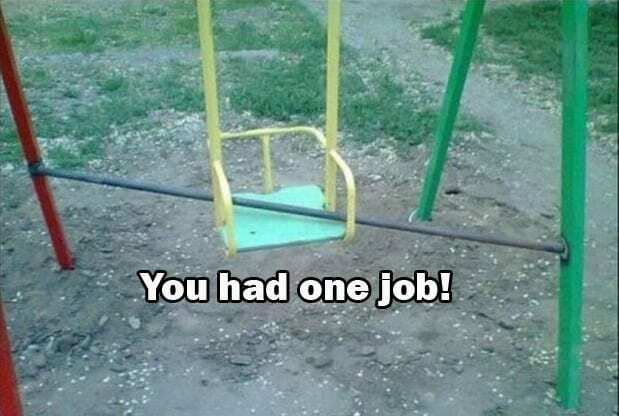 But seriously, Tarzan jokes aside, whose idea was it to place this slide and seesaw right in front and in between trees? Even if they were just placed there to be tossed, there has to be a child who will try to play and hurt him or herself. This is dangerous any way you look at it. 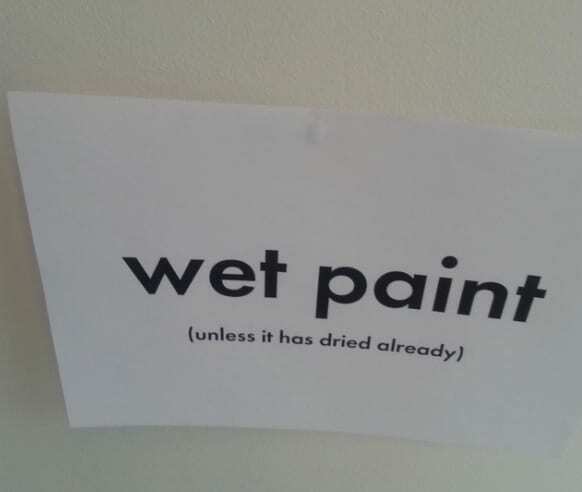 It’s hard to decide if this is laziness, a fail or pure sarcastic genius. Anyone who knows how to tell the time can do it even without the rest of the numbers after 4 o’clock. 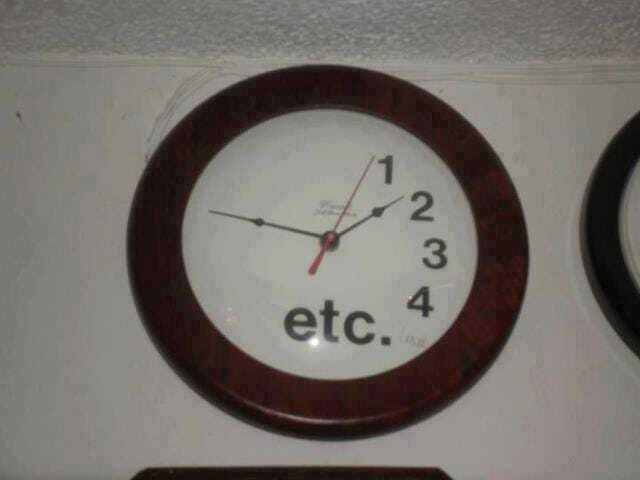 But then again, there are people who can’t tell time with an analogue clock and they probably hate this clock. 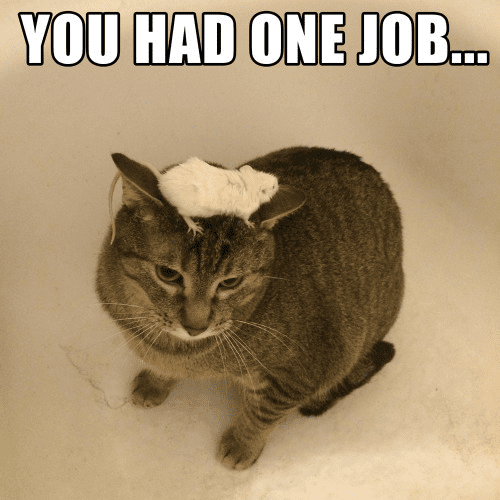 We can forgive this cat for not catching the mouse which is sitting right on his head, that’s because we all know that cats have more than one job. One of them is secretly judging us humans. We can’t actually read what the billboard says, but hopefully it’s making some sort of religious joke to go with the placement of the advertisement. 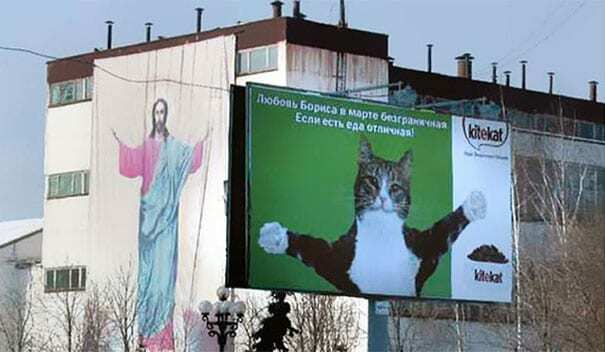 If they didn’t plan the cat’s stance to go along with the billboard’s surroundings, then this image is even better than we previously thought. Whoever placed the sign on this fence should take it down and quickly. 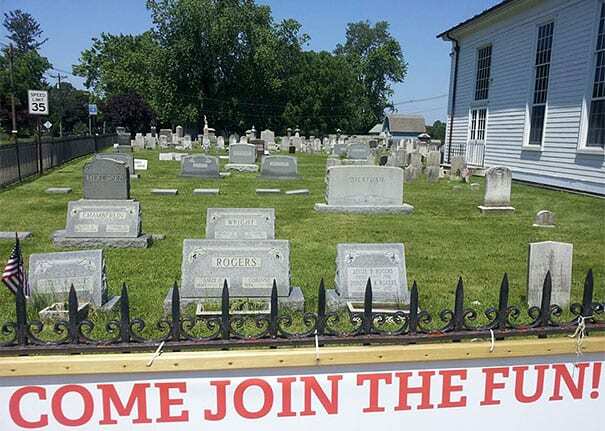 We’re not sure if it was the church or someone else, but we don’t think encouraging the community to join the fun with the cemetery in the background will yield great results. 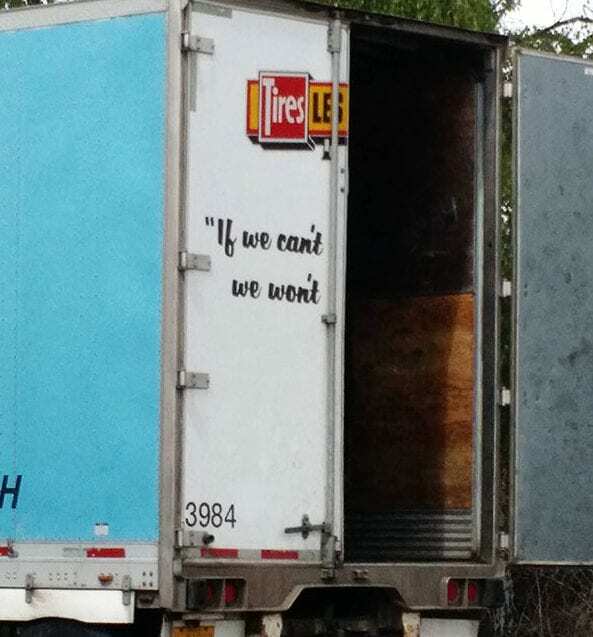 In this case, they may have wanted to purchase a truck with a door that is pulled up rather than opening the way it does.. or maybe they should have thought about the slogan placement before getting the logo designed on the truck itself. Either way, we hope they actually do. 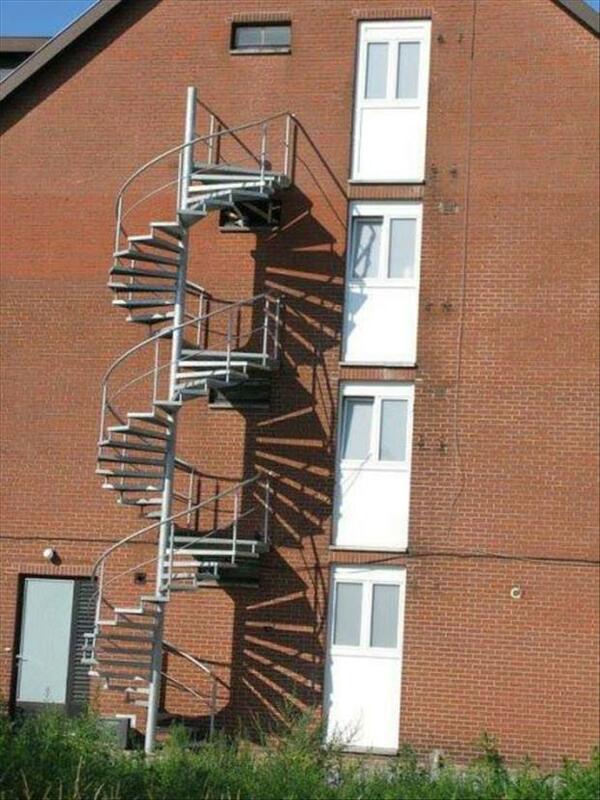 Whoever placed these stairs in the wrong area must not be in control of what they’re doing. 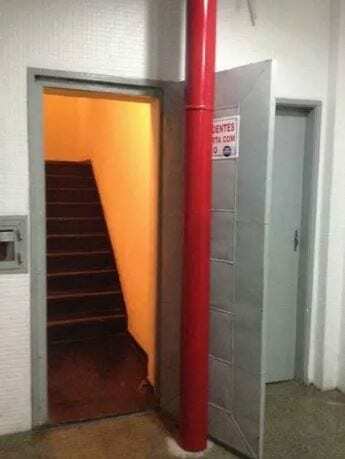 They’re clearly meant to match up to the doors, with an area to even step off of the stairwell. What happened? 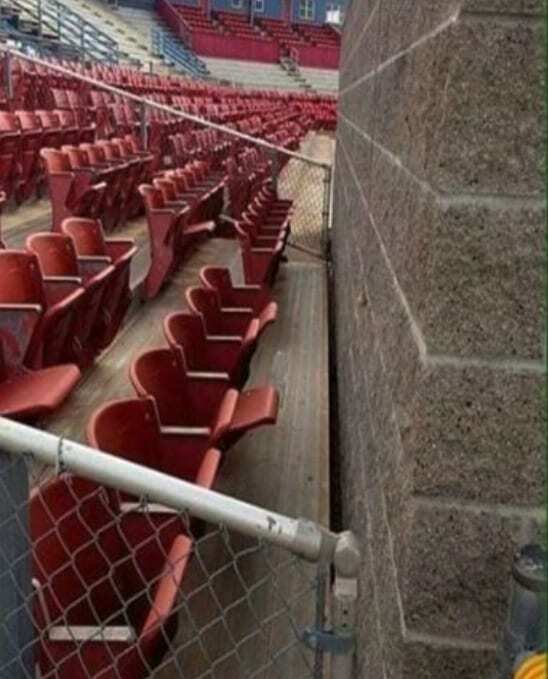 We really hope no one bought tickets for these clearly great stadium seats. We also hope they didn’t pay the worker who built this brick wall in front of the chairs. What makes this scenario worse is the small window showing what is actually inside the box. The box itself says spoons, and is covered with pictures of spoons, so why should there be forks inside? I would be surprised if everyone actually took the time to check what’s inside, which means some people went home with an extra 100 forks. 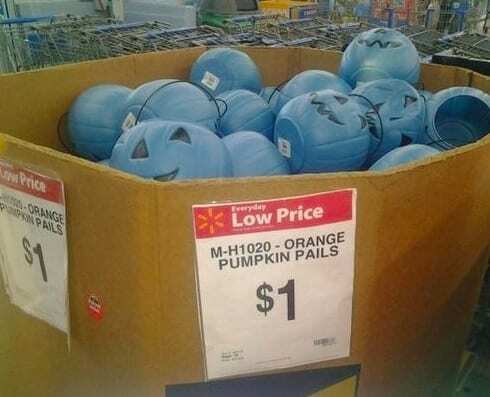 You don’t have to be a genius to tell that these aren’t orange pumpkins, unless they’re pumpkins that are all dressed up for Halloween and are hoping to trick you. Hey, at least they’re only a dollar. The chocolate company that you can’t help but love their sweets, were trying something new, we’re guessing for Valentine’s Day or something like that. The only problem is that it doesn’t really read XOXO when placed like this and the message might not be delivered properly. . 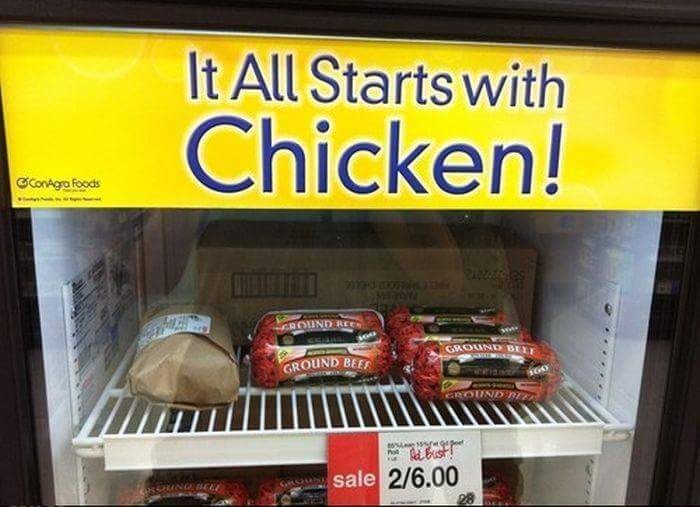 It all starts with Chicken? Remember Jessica Simpson’s gaffe about 13 years ago when she confused tuna fish with chicken of the sea on her then reality show? Well, this case totally reminds of that hilarious episode. Isn’t it just wonderful to see how the world has become one big place where religion or nationality don’t matter? 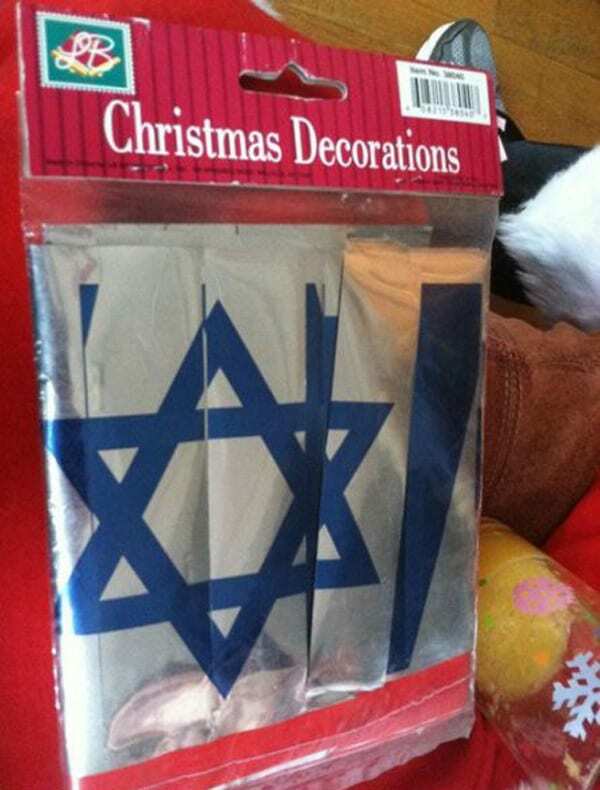 Otherwise, how can you explain the fact that the Israeli flag is placed inside a Christmas Decorations pack? Ok we have to admit we’re a little bit confused. 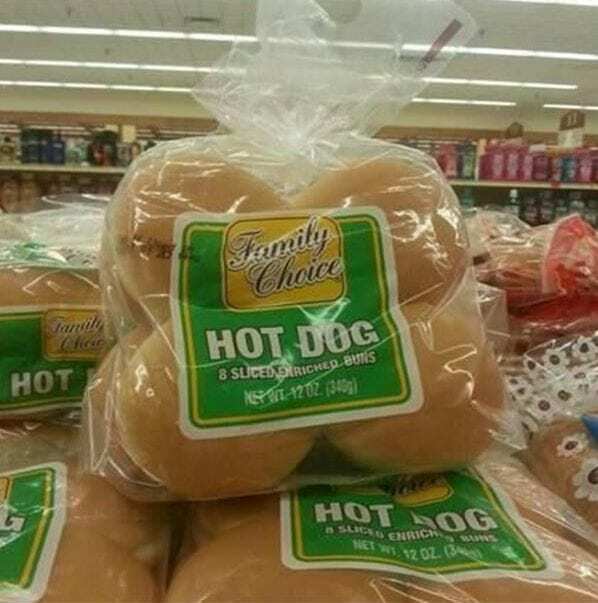 When have hot dogs become round that they could fit inside a round bun? does that mean that hamburgers have become long and thin now? This is what we would call bad news, in ever sense of the word. 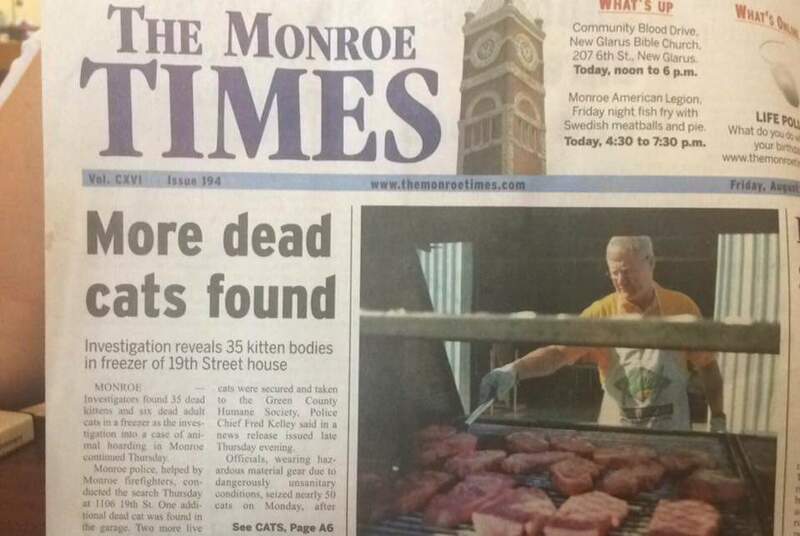 It’s bad news to read that cats were found dead and it’s probably bad news for this paper’s editor who didn’t notice the report was placed right next to man grilling some sort of dead meat. 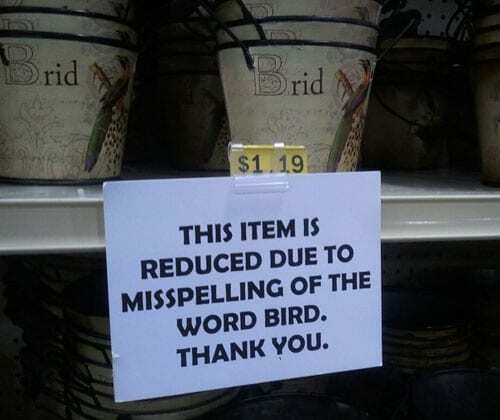 There are all kinds of people in the world, some are better workers than others, but when you have a person who spells out the word ‘bird’ wrong on an entire stock of decorative cups, then you know they must be very special. 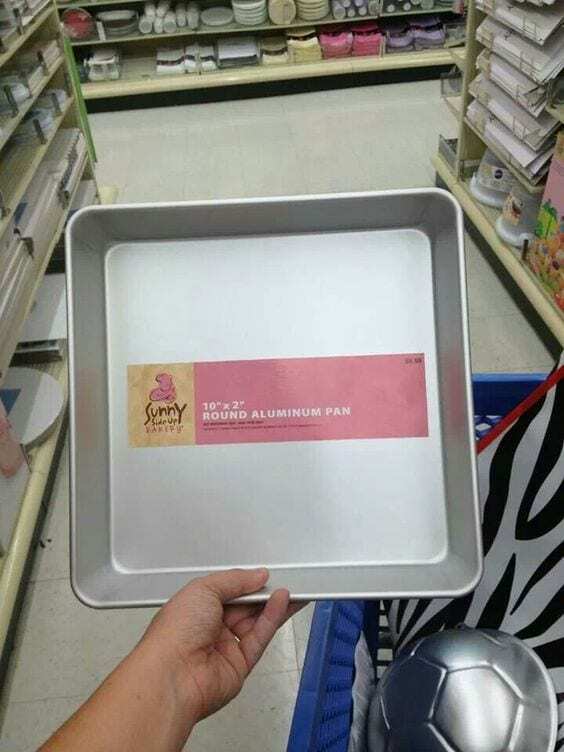 At least the store was smart enough to reduce the price of the item. 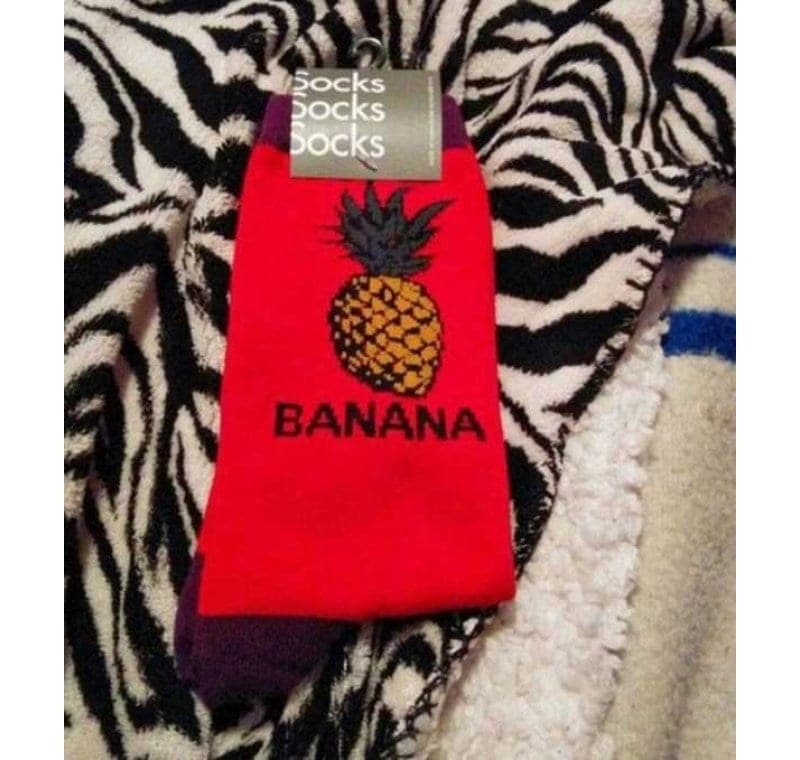 It might just be a fashion statement to wear socks that show one thing like this pineapple and read a totally different thing like ‘Banana’, or it might just be someone who has his fruits all mixed up. 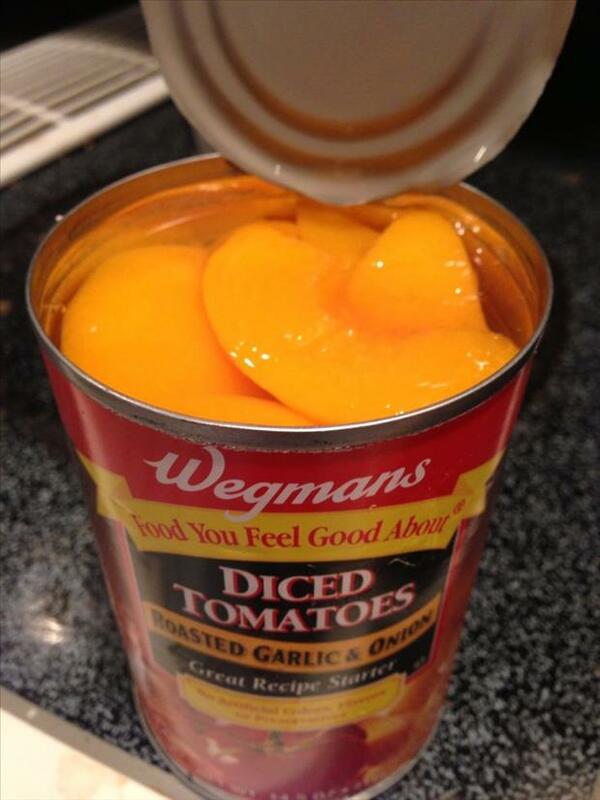 You don’t have to be picky about the canned food that you’re purchasing, so what if you thought you were going to get diced tomatoes in garlic and all you got was peaches in syrup? After all it is canned. It does say though that it’s food you feel good about. Yes, capital ‘D’ and capital ‘B’ are very similar when you write them out, but some people may interpret this as totally disrespectful. People who have all kinds of disabilities might not be very happy with this, just saying. Saying goodbye is never easy, and some people don’t know how to console others because it’s so hard. 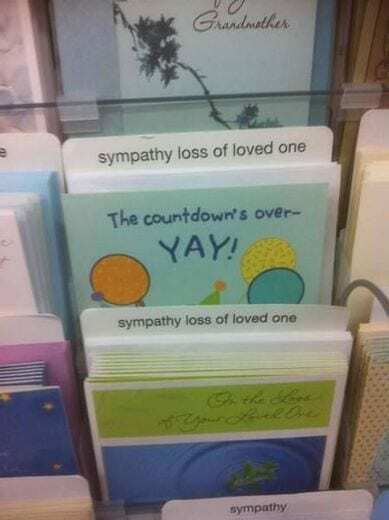 But, do us a favor and don’t get them this ‘the countdown’s over’ card just because it’s placed in the ‘sympathy loss of loved one’ section. 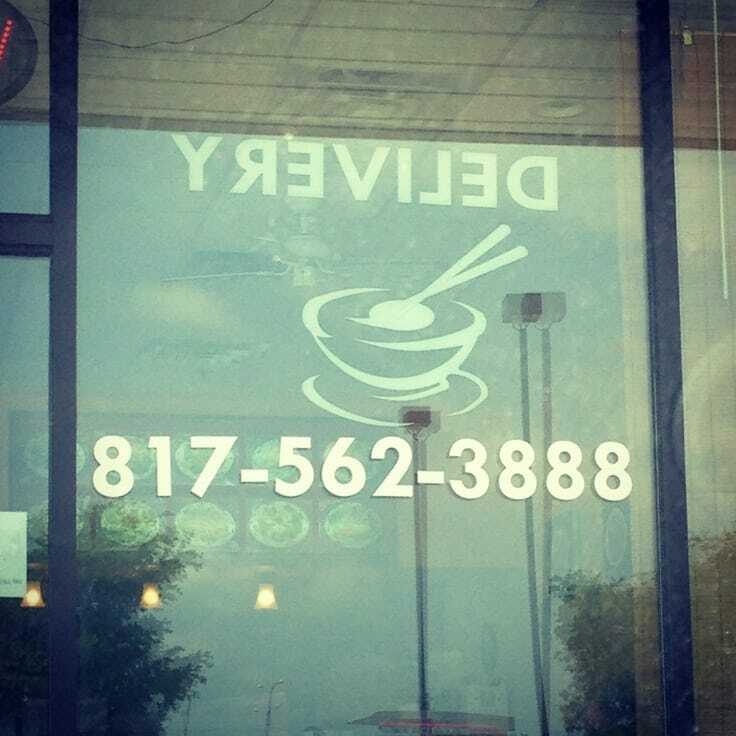 Either this restaurant is genius for posting this sign wrong because it catches everyone’s attention by forcing the reader to read backwards, or someone wasn’t planning much a head when they placed it on the window from the inside. There’s a reason why customers don’t trust food conglomerates so much. It’s because they are trying to sell you sugar that is sugar free. Confused? So are we. 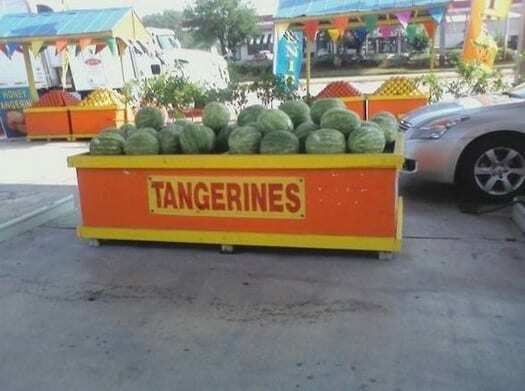 What happened to those tangerines? As far as we know, tangerines are usually orange and smaller than watermelons, but maybe we haven’t been out so much lately or visited the store in so long long that tangerines have begun to look like watermelons now. First, there is nothing super-heroic about a lighter because it’s associated with smoking, which, as we all know,is very bad for you. 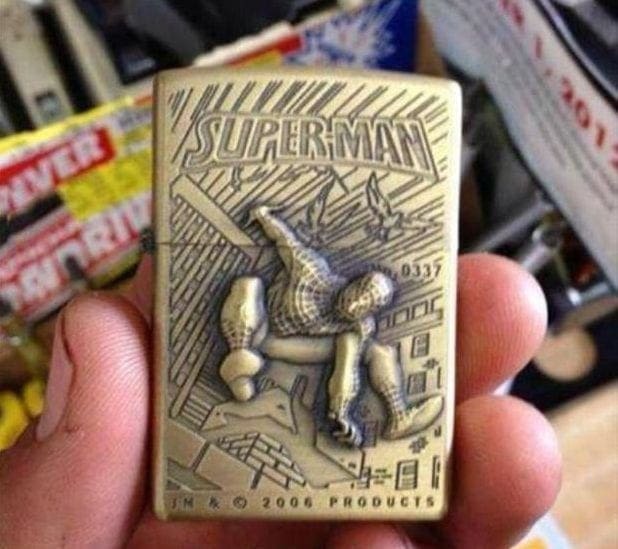 However, if the designer decided to draw a superhero on top of a lighter, they might as well get the character right. Wow, this person really takes every task they get very seriously and they want to make sure they are not missing a single thing. This is what we call thinking out of the box and really making sure everyone gets the message. Cheerleaders already have a reputation of being somewhat ditsy, so holding the sign upside down doesn’t help the stereotypes at all. Oh well, we have a feeling people don’t really care about the sign itself. Thank you for stating the obvious. 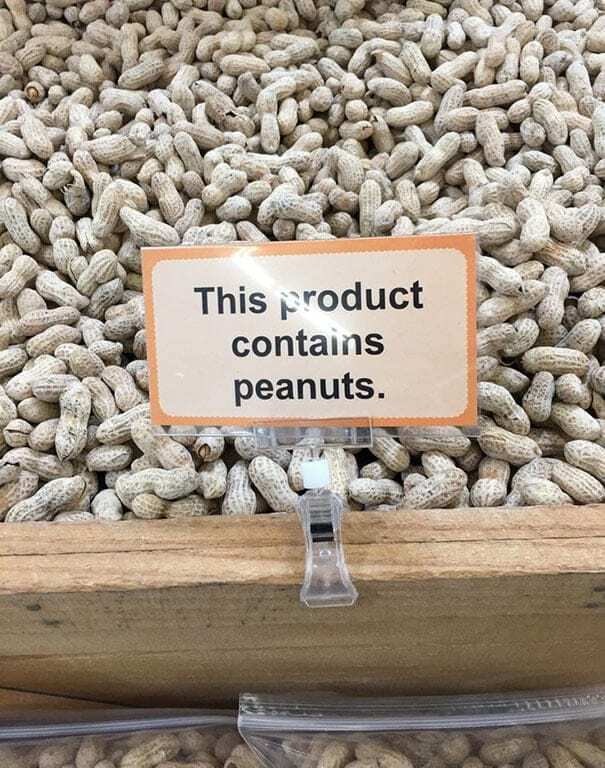 We get that being allergic to peanuts is a serious thing, but usually when people see peanuts in front of their eyes, they can assume it contains..peanuts. We bet this McDonald’s chain got a lot of resumes after they posted this sign! 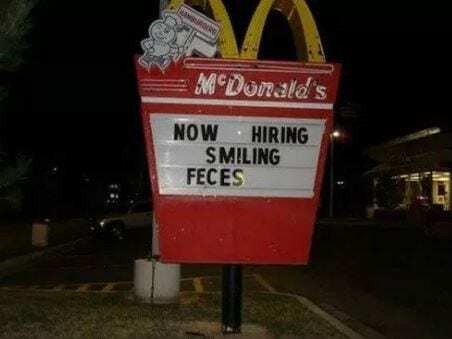 Not sure if writing ‘smiling feces’ is the best way to attract people or customers to come in or apply for the job. Sure, most of the goods these days are made in China, even when companies are trying to convey that their stuff is ‘locally made’. But this is just too funny. The Chinese must feel very proud of this. 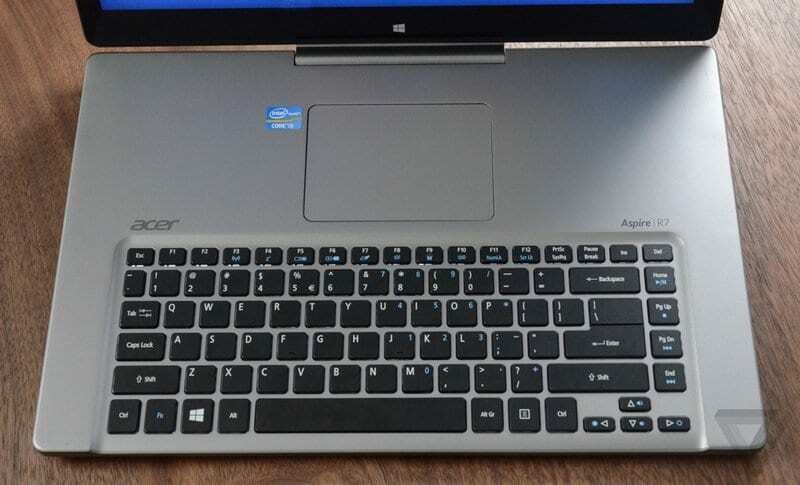 Acer, you can’t afford making such huge technical mistakes on your electronic devices. 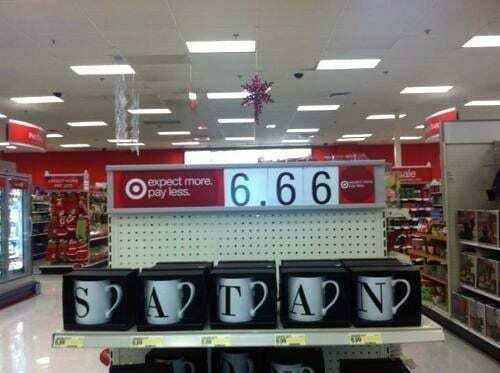 It would have been less bad had there been a missing letter for instance. 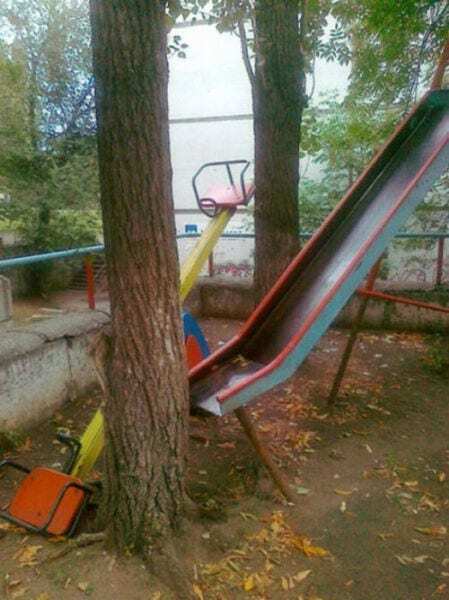 This looks like the swing from hell, at least for the poor mom who wanted to take her kid to the playground just to find out that her child can’t go on the swing. Good luck for her. We understand how people might be confused by dogs and wolves perhaps, but in no way in the world does an ostrich remind us of a dog. Their animal instincts didn’t quite work here. For such a big brand we’re pretty surprised to see that this creative was approved by the graphic designer. Even if the person doesn’t like a good bowl of cereal, he must know that you pour the milk inside the bowl and not outside. 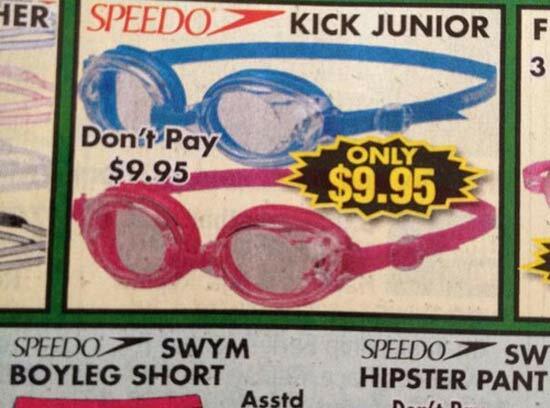 These Speedo swimming goggles must be a really good bargain that even the company itself can’t decide if they want people to pay $9.95 or not. A little contradicting, don’t you think? Do you want to go down or down? We really don’t understand the point of having two arrows facing down and writing ‘up’ and ‘down’, because it might get very confusing for the average man taking the elevator. At lease the colors of the buttons are different. 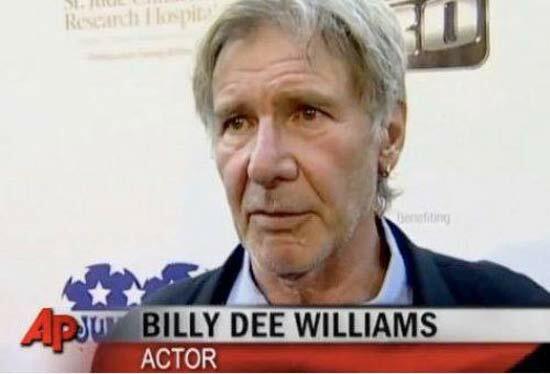 Forget the fact that this clearly not Billy Dee Williams, but another renowned actor, Harrison Ford. The two might have been in the same movie at some point in their lives, but besides that have nothing else in common. 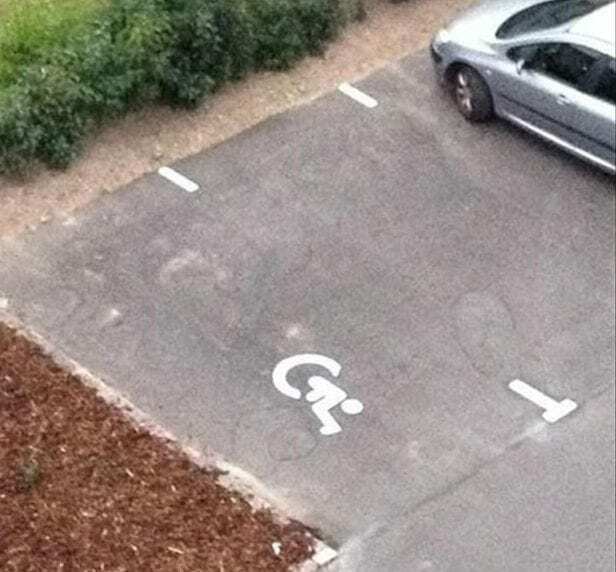 What kind of disability is that? 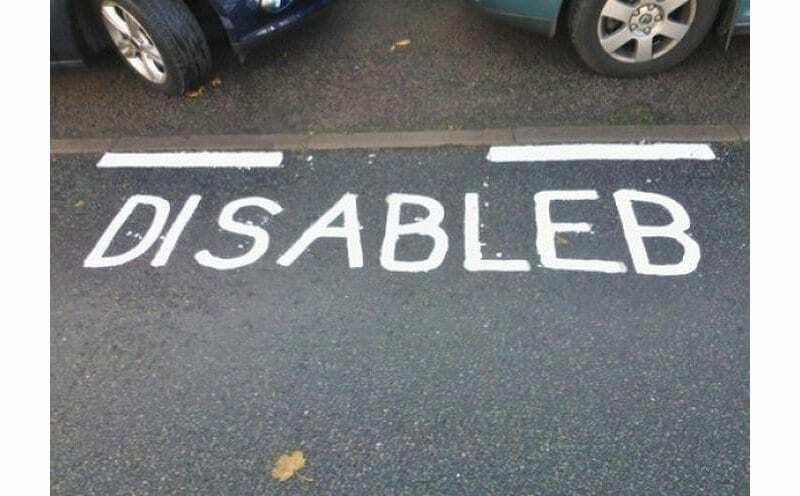 We get the that the intentions were good in this situation allowing more parking space for the disabled, however we really don’t understand what kind of disability is painted here. It looks like a man sitting on huge ball more than anything. The whole health trend has gone a little too far don’t you think? 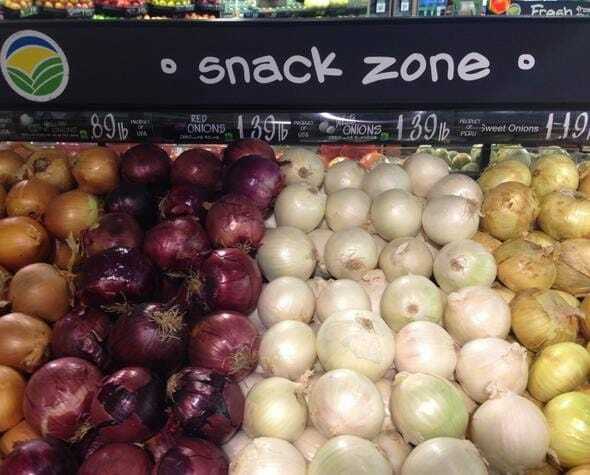 Sure, it’s important to eat less saturated-fat packed snacks, but onions? Just don’t try and kiss anyone after. 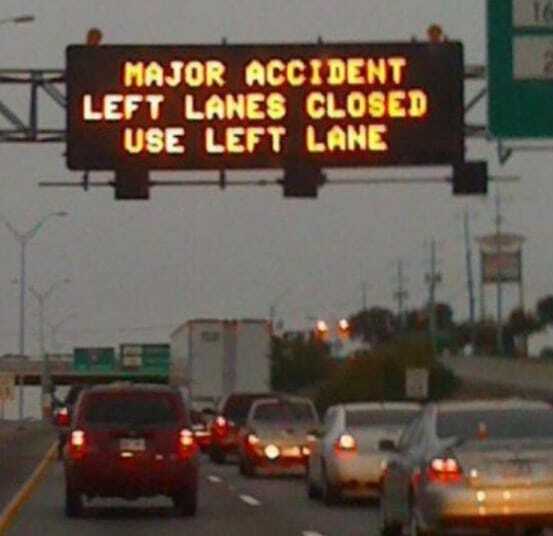 Thank god for traffic signs letting the drivers know which alternative lanes they should use so they won’t hit traffic. Next time, can you please be less contradicting? 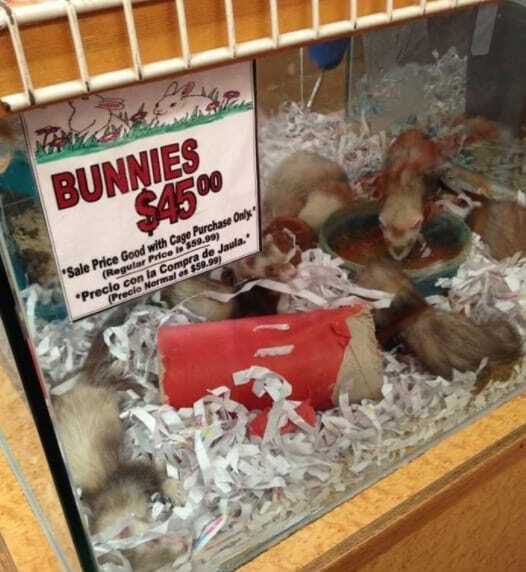 We don’t consider ourselves big animal experts, but we;re pretty sure these are not bunnies. Also, who knew that a bunny was so expensive? 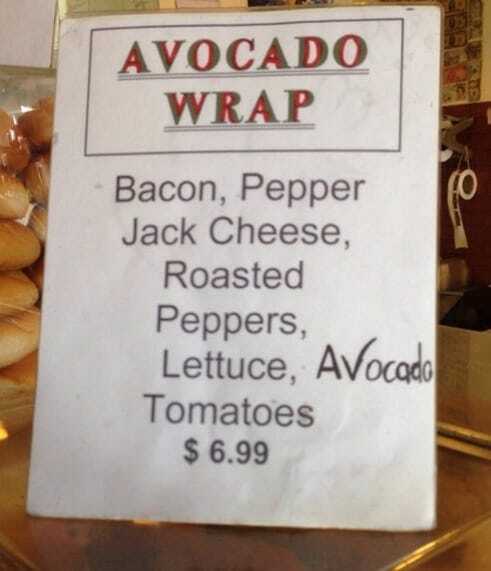 If you are going to advertise the fact that you have an avocado wrap, don’t you think it goes without saying that when you write what’s inside, you should probably include the avocado? Going to the bathroom has never been so romantic for two men. 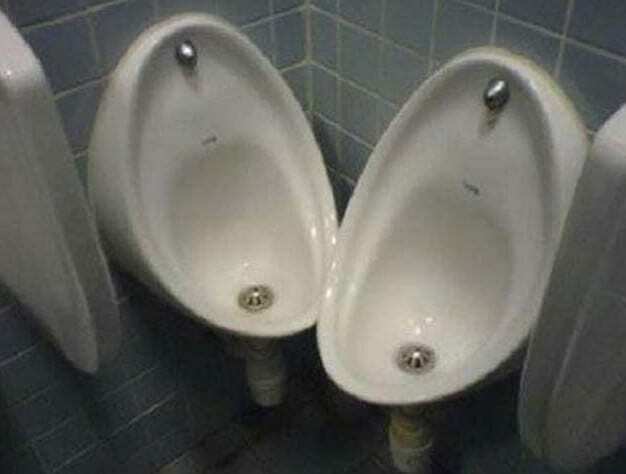 These toilets show that even inside a public bathroom, there is room (or not) for two males to bond while they do their business. 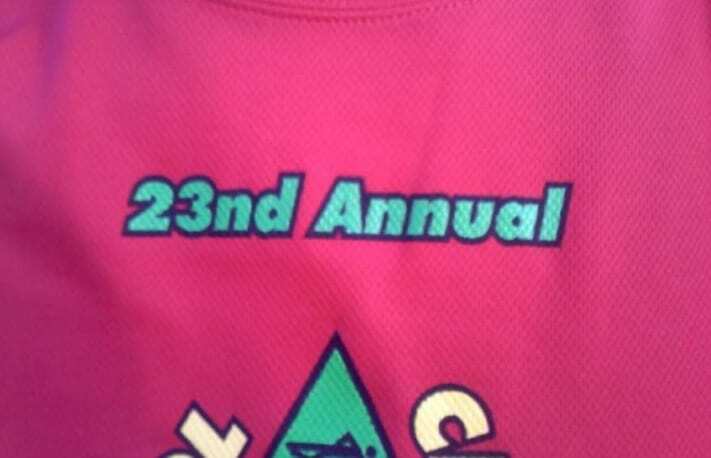 We don’t know if this shirt is from an annual contest, an annual conference of some sort or an annual forum, but we sure hope it’s not an annual spelling contest. Ring pop or lolly pop? 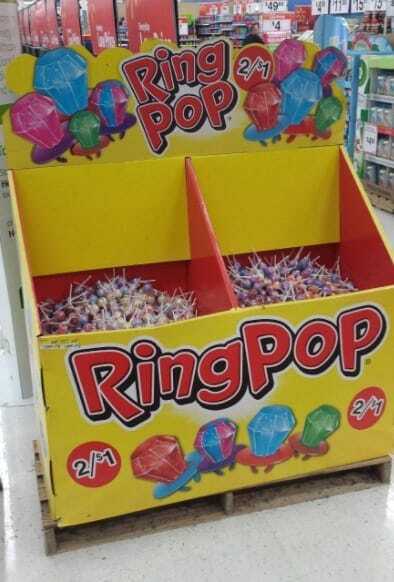 Can you imagine how disappointing it would be for the poor kid who is dragging his mom all the ay through the store just to find out that his favorite ring-pops are nothing but regular lolly pops? Now that’s one cool street to walk through and one awesome cross walk to cross because you get a high five from the hand inside the traffic light. We bet they meant for it to be a stop sign. 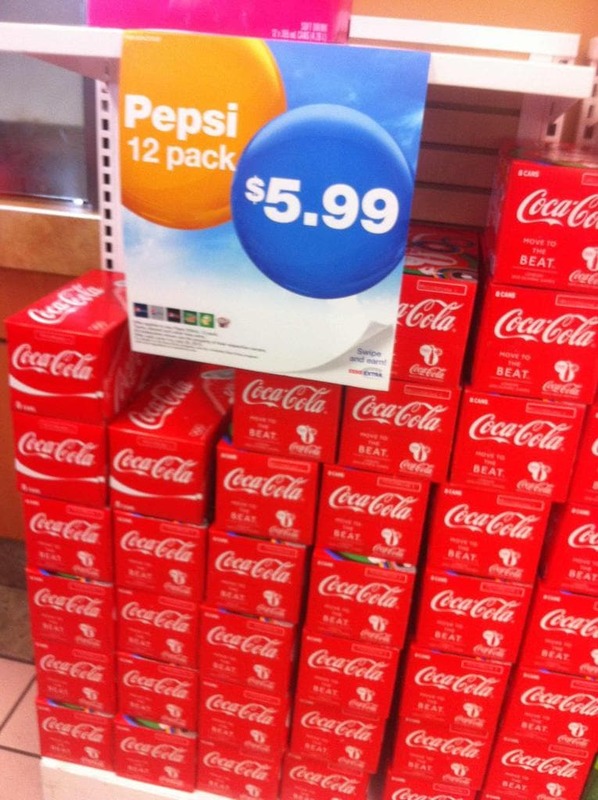 Who knew that World War III would be between Coca Cola and Pepsi? we bet the two soft drinks companies who are big rivalries wouldn’t be pleased to see this happening. Uh oh, another soft drink war only this time between Coca Cola and Fanta. Who do you put your bets on? 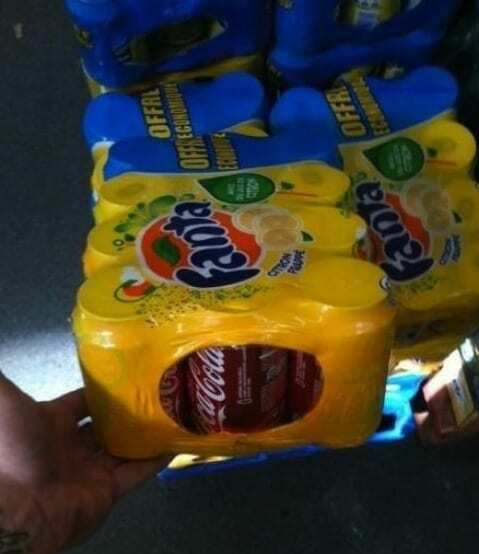 and what’s more disappointing – finding out you got coke instead of Fanta or the other way around? 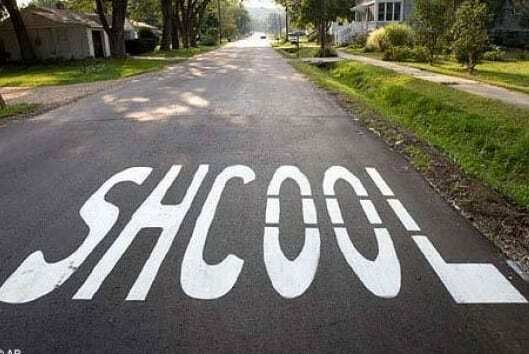 We don’t know about you , but we wouldn’t want to send our kids to a school that can”t even spell the word ‘School’ correctly. We hope they will learn the important things at least. 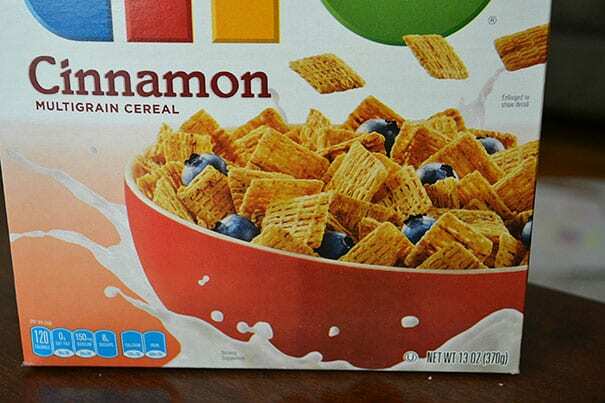 Doesn’t non-dairy mean that the item necessarily does not contain any milk? 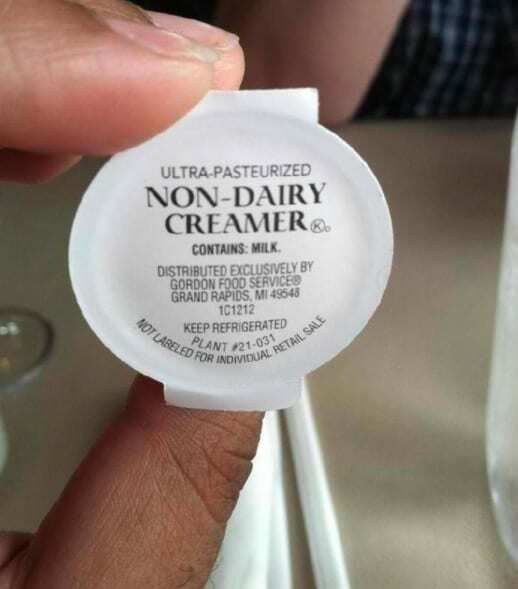 Then how come this creamer says it ‘contains milk’? This is another reason you can’t trust these companies. 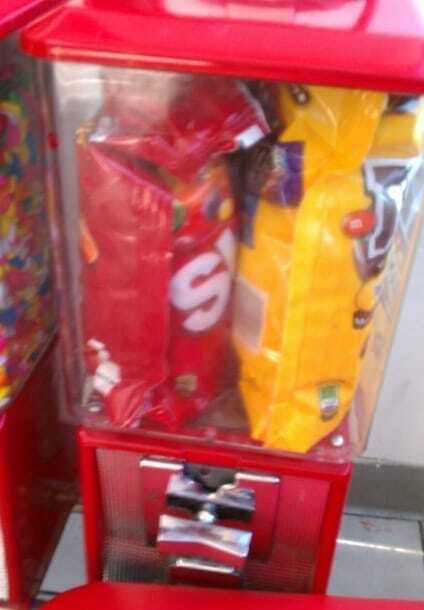 Umm.. what’s wrong with this candy machine? Why aren’t the Skittles pouring out when we turn the switch? Well, maybe because someone forgot to pour them inside the box? 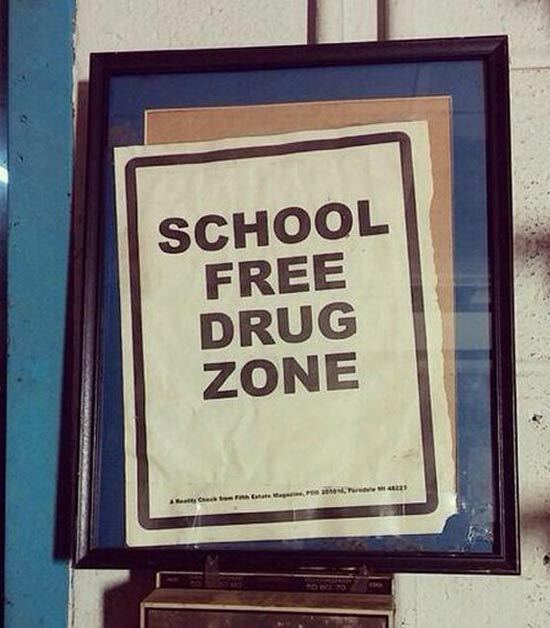 We had no idea the education systems have become so lenient with using drugs on the school’s property? We have a feeling we’re missing something here, otherwise we’ll be very surprised to know that some schools support different uses of substances. Van Camp’s should really be more clear next time they tell their employees out in the field who are in charge of the brand’s image, to pay more attention to how they write the names of the products. We have a feeling they meant to write ‘pork & beans’. Ok, there are a couple of things that make us go ‘hmm’ about this one. 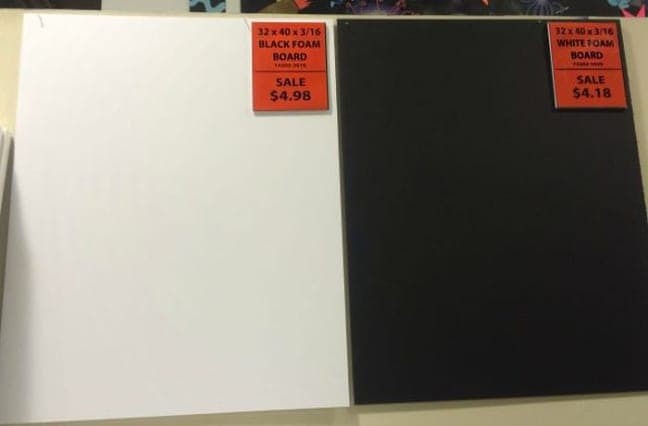 First they totally mixed up the white and black foam boards, and second, why is the exact same sized-board cost differently just because of the different colors? 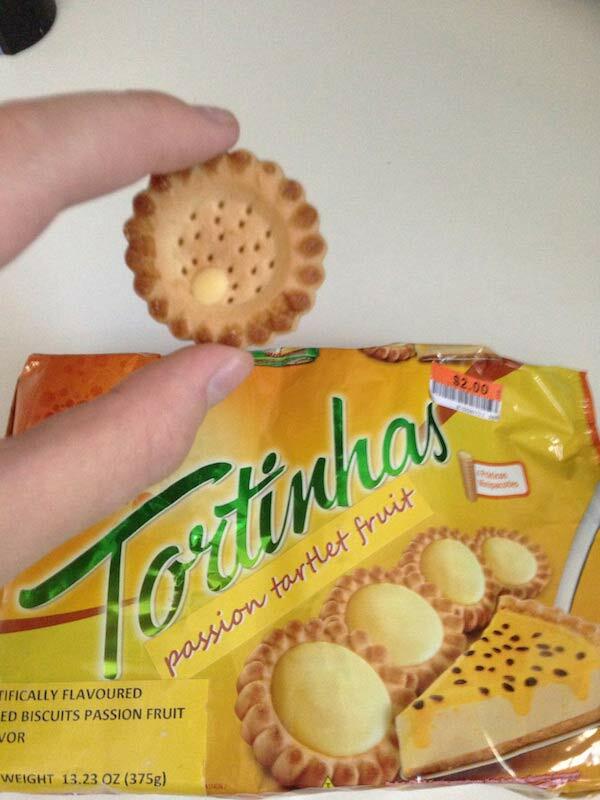 You can’t say Tortinhas aren’t consistent with their bite-sized snacks. Even the passion fruit cream inside is bite-sized, more like, no size. How annoying it is to pick out one of those! 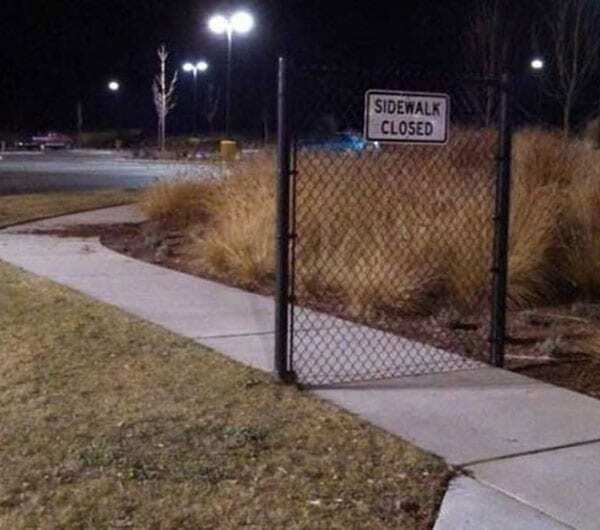 Good thing there is a gate with a sign preventing people from walking and crossing this sidewalk! It’s not like they can move one step to the left and walk around the gate on the grass. Oh, now we get it. 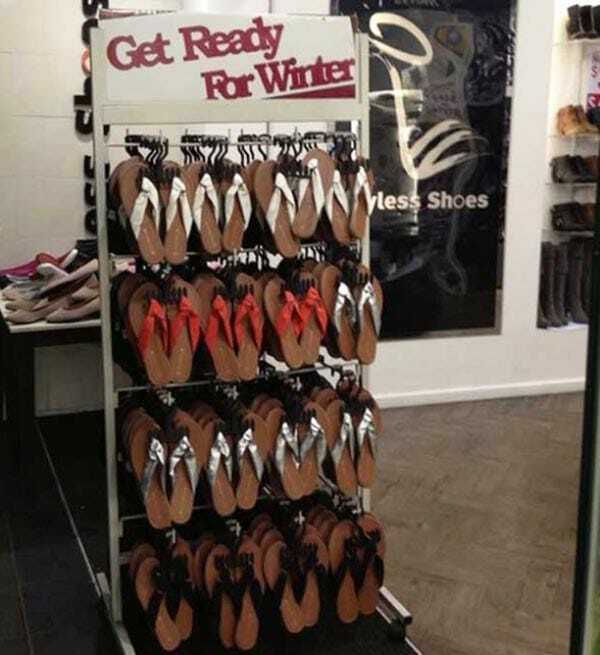 This must be a flip-flop stand at a mall in Australia where it is actually hot during that typically cold season. Otherwise, this is really bad advertising. 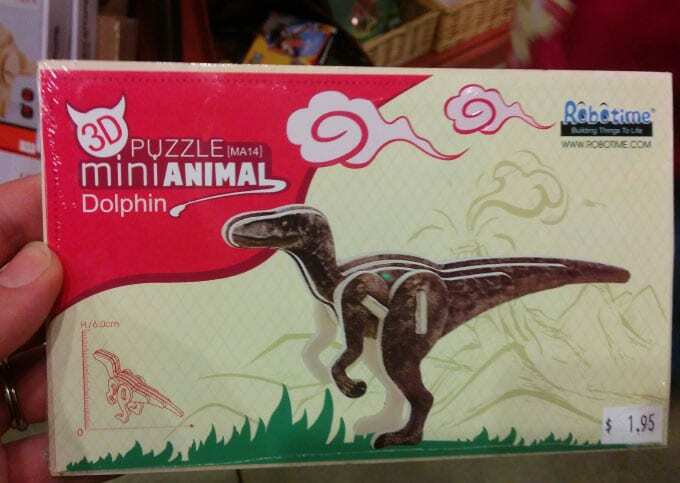 No matter how many times you play around with this dinosaur puzzle and how many times you turn it in all the different angles, there is no way you will get a dolphin. 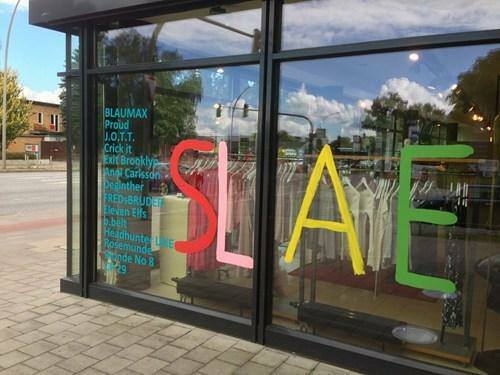 This store should really take into consideration that there are breaks between the windows that may cause a sentence to be cut in a way that it won’t make sense. 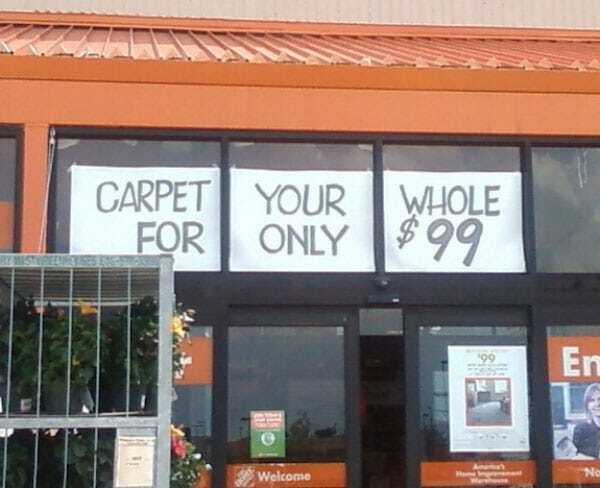 Carpet your whole what? 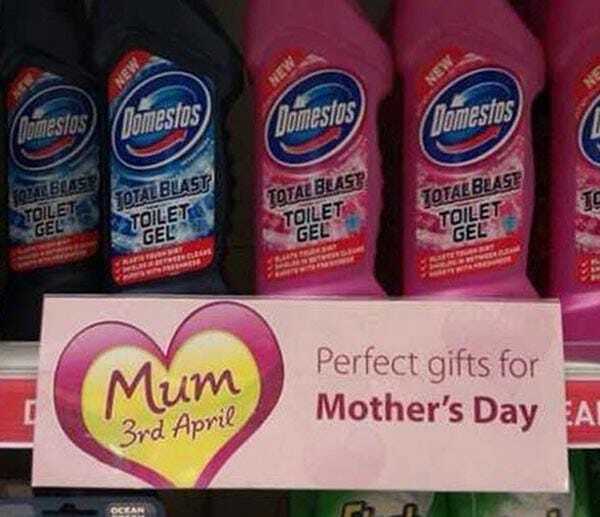 We bet every mother will appreciate Domestos Toilet Gel as the perfect gift for mother’s day! There’s nothing like a total blast of non-appreciation to makes us feel so special on this day. Gender equality or genuine mistake? We’re going to guess it’s the latter. 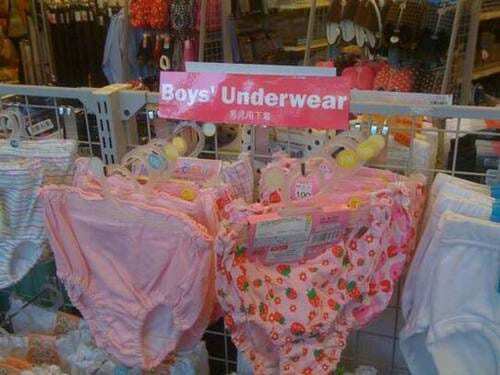 Thankfully for boys who do end up wearing them because someone bought them by mistake, and not because they love pink or strawberries, people don’t usually see your underwear anyway. At the end of the day, the chocolate is there, it just isn’t in the right place. The real question is, is there also chocolate on the inside of the cone? If so, we’re cool with this mistake. Double the chocolate = double the yum. 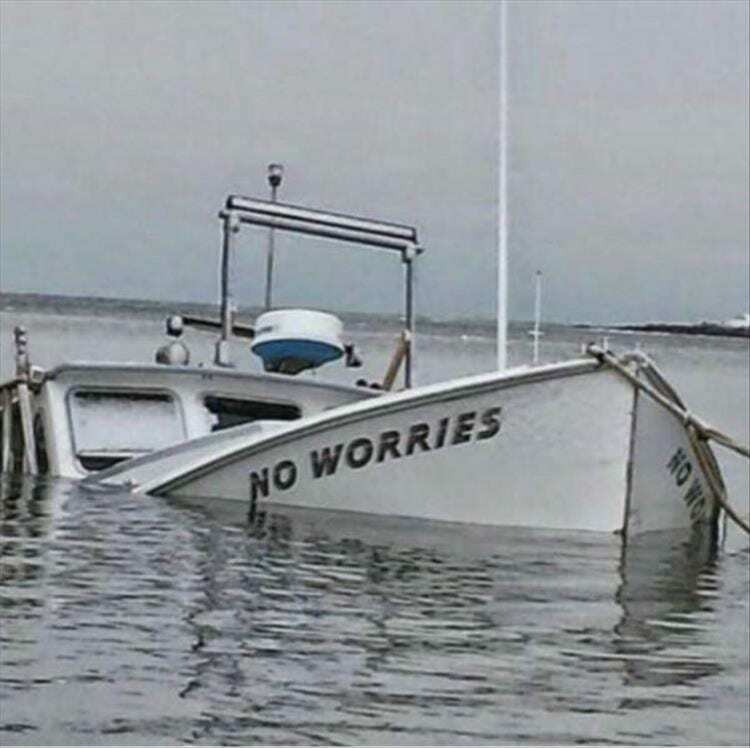 Don’t worry, even if the boat will drown, the cool slogan on top of it will remain stable. Well isn’t it ironic to watch? Next time worry more about your boat’s durability and less about its name. We wonder which store was there first? 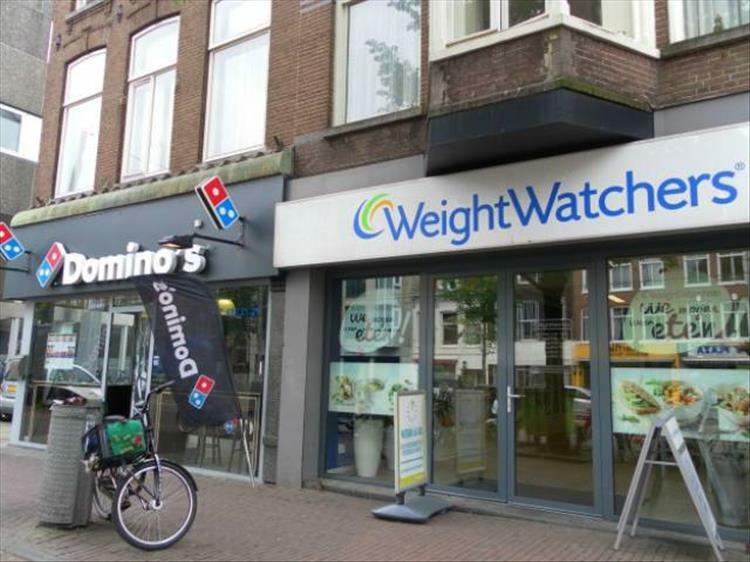 The Domino’s Pizza one or the Weight Watchers branch. 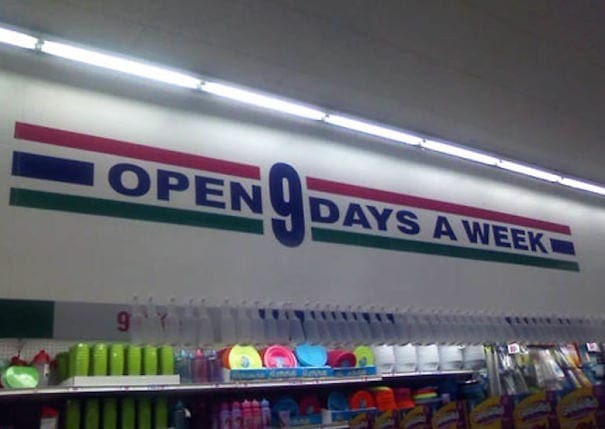 In any case, one of them had to plan ahead better, at least in terms of the store’s location. This seems like a really nice alley to walk in with your partner or your pet. 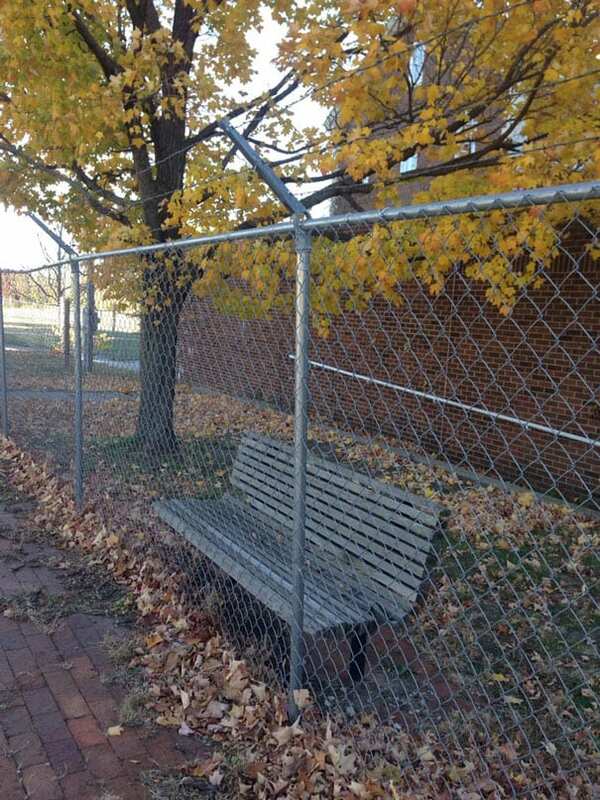 The only problem is that if you feel a little tired and feel like resting on a bench, it will exhaust you more to reach the bench behind the fence more than anything. 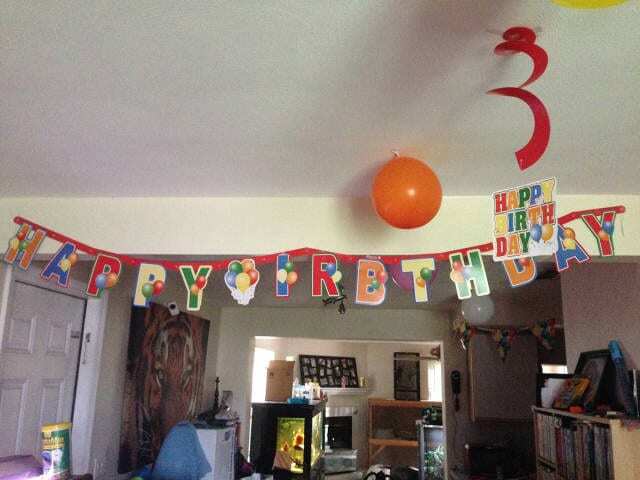 We bet this birthday boy was really surprised when he saw that the banner reads something else than ‘happy birthday’. Oh well who cares, as long as they had a good day. We have to admit we’re a little bit confused with this picture frame. First we didn’t realize people still buy picture frames to place their photos in. 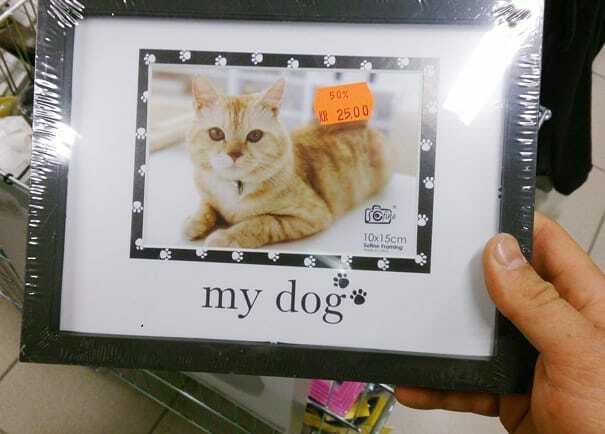 Second, if we own a dog, would it be insulting to buy this frame with a picture of a cat? Because it does say ‘my dog’ at the bottom. It’s really all about how you frame things, literally, and it’s ok if you’re animalistic instincts aren’t as sharp as they used to be. The Red Hot Chili Peppers is one of the most successful rock bands of all time with tons of hits under the group’s belt. 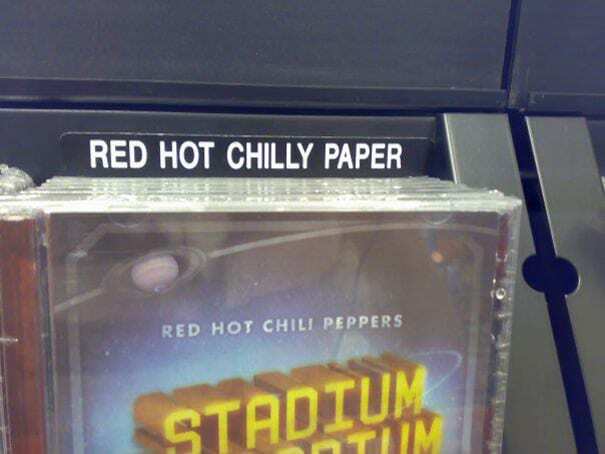 If you’re a big fan of the band and wishing to buy their CD, make sure you don’t buy cold paper instead of what you intended to purchase. According to what is written on the label, the only thing you can find is cold paper in red hot color. We don’t think they would appreciate it. This is what they would call a ‘fashion statement’. It’s outrageous, bold, incorrect and totally gets your attention. 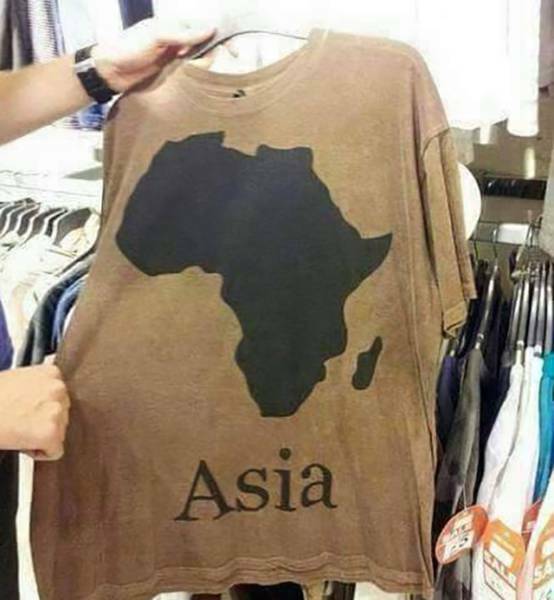 If you haven’t figured out by now that this is a picture of Africa and not Asia like it says on the T-shirt, then you should probably consider dropping out of your geography course. At least they could have written South America instead, that would look a bit more similar to Africa. This Ryan boy really knows what he wants written on his cake. He also knows that he loves Sesame Street so much that he wants the Sesame Street kit as well. 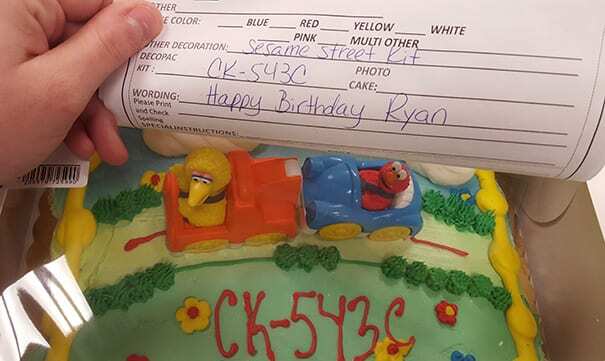 But there is one thing Ryan is confused about, what does it say CK-543C on top of his cake? It seems like it wasn’t a piece of cake for the person decorating this dessert to read the directions correctly. Riding your bike around the city has become more and more common and people have started preferring this way of getting around rather than driving everywhere. 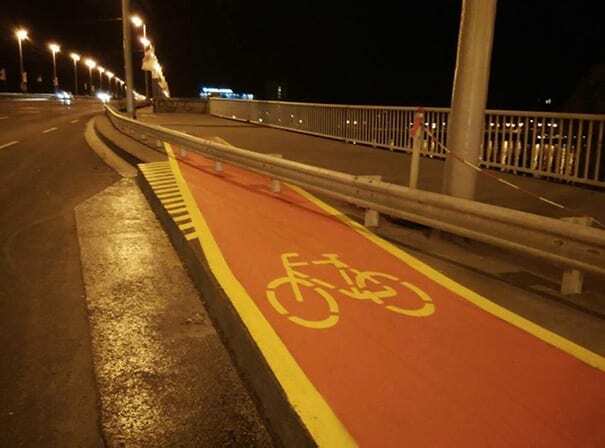 The city has even built special pathways for bicycle riders. They just didn’t do a very good job with this lane, because to us it seems that whoever will get here, might not have many choices of where to go. Are we seeing double? Or does Ben have an identical twin sister named Teresa that looks strikingly exactly like him? She even dressed the same and posed the same. 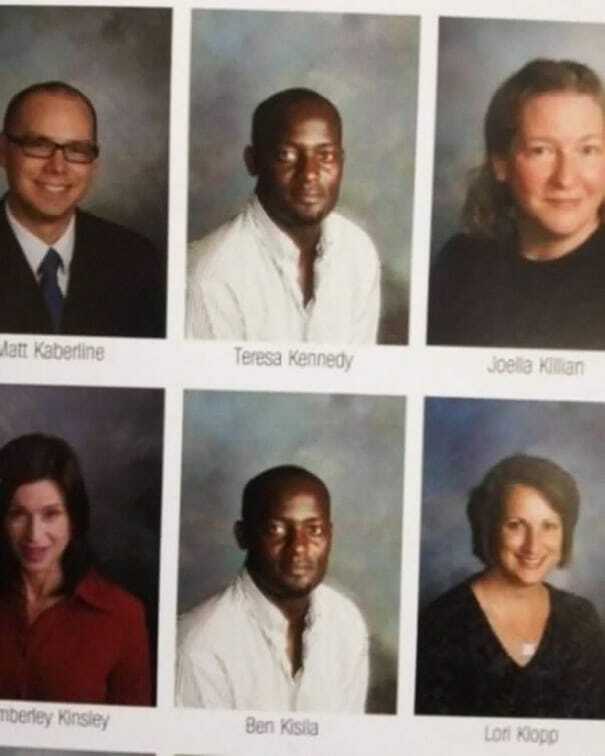 Ok, joke aside, if there’s one thing you don’t mess with is a person’y yearbook picture. It’s already not the most flattering thing in the world, so to make such a big mistake is just wrong. We have a feeling Teresa isn’s so happy about this. We don’t know if we need to expect anything less or more from McDonalds, after all it is a fast food chain. 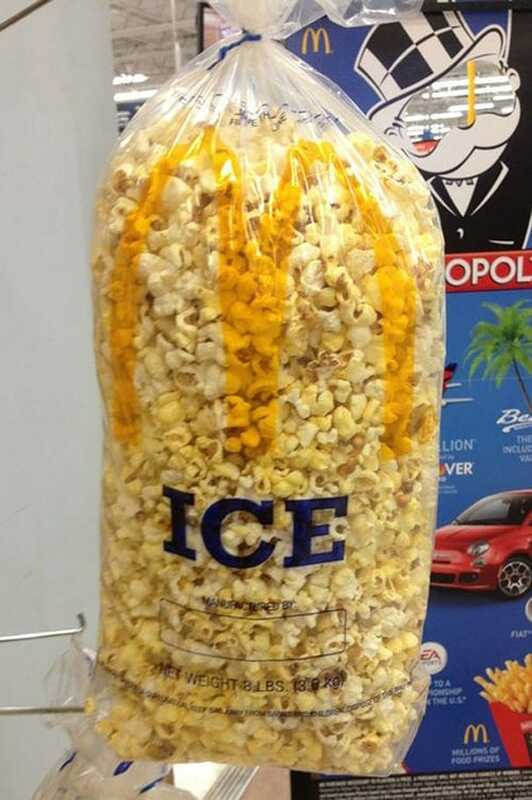 They must have taken this whole ‘fast food’ concept a little too far when they packed their popcorn in a bag of ice. There are two options with this one, either the customer will get ice-cold popcorn, or the ice will be very warm, and crunchy like popcorn. It is a great concept for the summer days though. 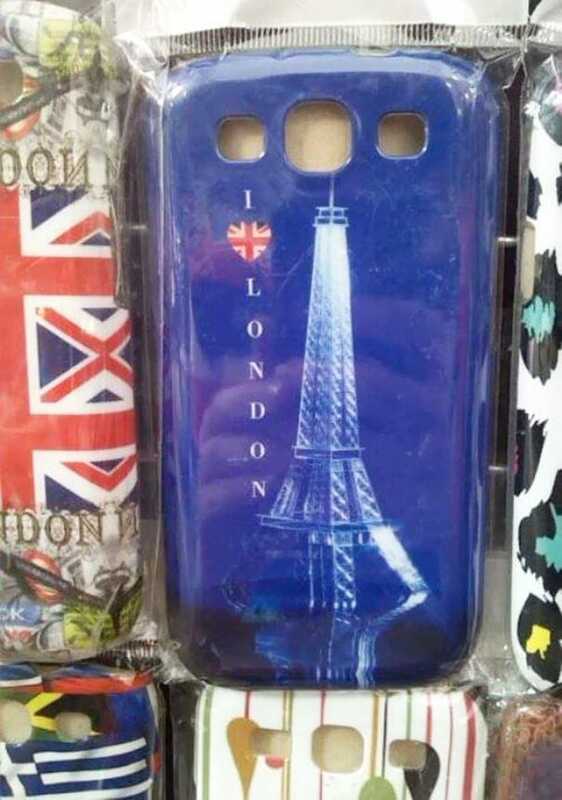 This phone cover hurts our eyes, because it means that someone actually thought that the Eiffel Tower is in London. Sure, they are both European countries, but it’s impossible that someone would be so ignorant that they would make such a big mistake. We hope no one goes on a trip to London hoping to find the Eiffel Tower when they are sightseeing. Someone has their fruits all confused. Are you on team grapes or team strawberries? It’s either you like your berries small and sweet or big and thorny. 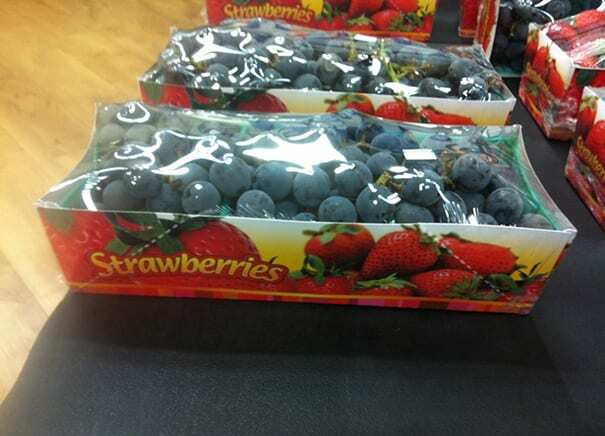 The person who packed these packages of grapes must have been very indecisive as to whether he wants grapes or strawberries. In any case, it would be funny to see people’s faces once they realize they are not getting what they thought they would. You don’t have to be an original Aussie to see that the sign up there has a picture of a Koala and not a Panda. Sure, they are both bears but if you ask a a specialist who works at a zoo, he would be completely confused as to how someone could mix those two sweet bears up. 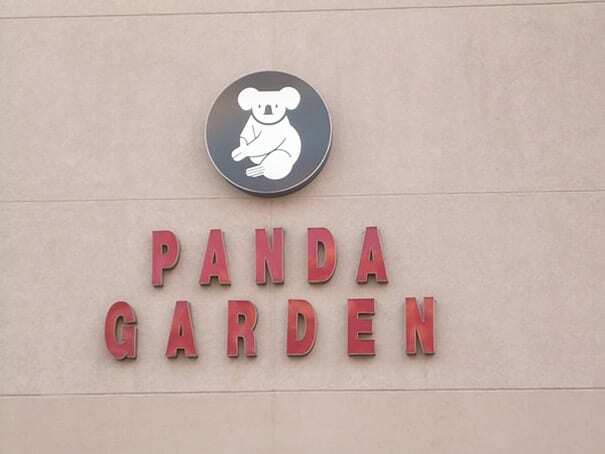 Do you think it’s too late to change the logo of Panda Garden to a real panda? 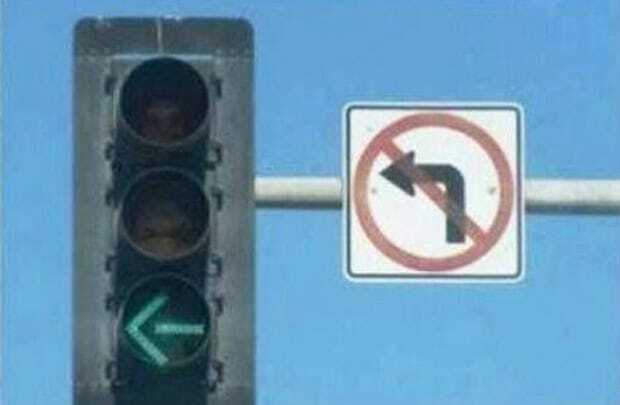 Ok, we know it could be quite confusing to get left, right or center correct, especially when people don’t know which way to look at it from. 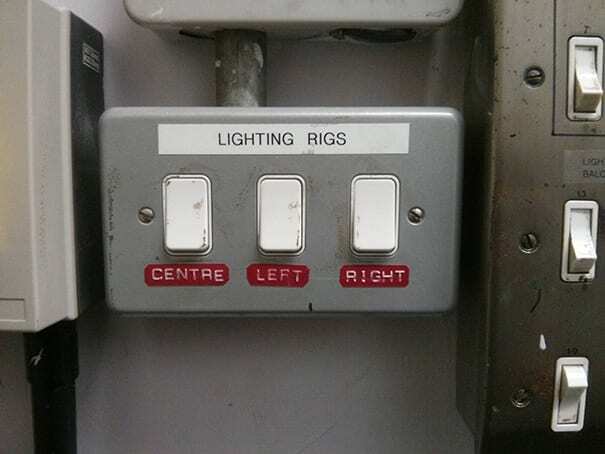 But to place the center switch on the left side and the left switch in the middle is just a bad and funny way to mess with people’s heads when they need to play with the lighting rigs. We think the person who did this should just turn off the lights and leave. Unless you’re a very big foodie or just someone who loves to cook, then it’s fine if you don’t know the difference between lemons and limes. 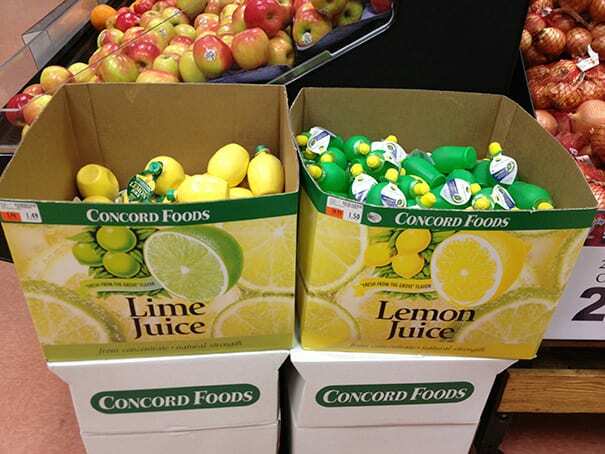 However, most people, also those who work at a supermarket, have to know that lemons are yellow, so how hard could it be to place the lemon juice packages in the right box? You know what they say about these types of situations. Your kid is so excited about his first pajama party that he tells you he wants to but a new set of PJ’s to show off his friends. What the poor kid didn’t realize that he was shopping in the night wear department from hell. 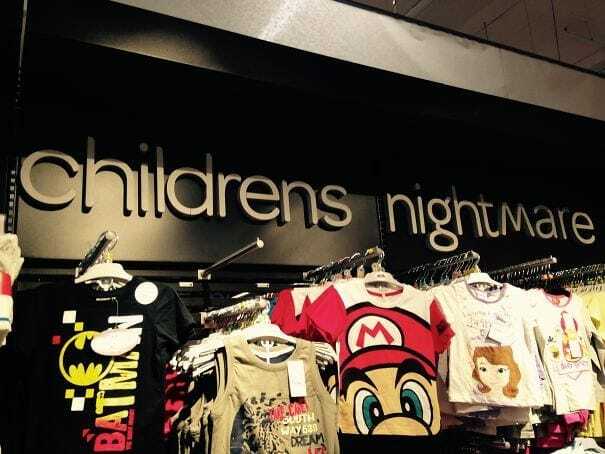 It must have been one big and scary confusion to see that you arrive at the ‘children’s nightmare’ department and not night wear. Let’s hope this kid won’t have nightmares when he goes to sleep. Wow it’s magic! this women in the ad can lay on her bed and speak on her phone with her legs!? Now we know that in England people drive on the other side of the road, but we had no idea everything was upside down and completely turned around. 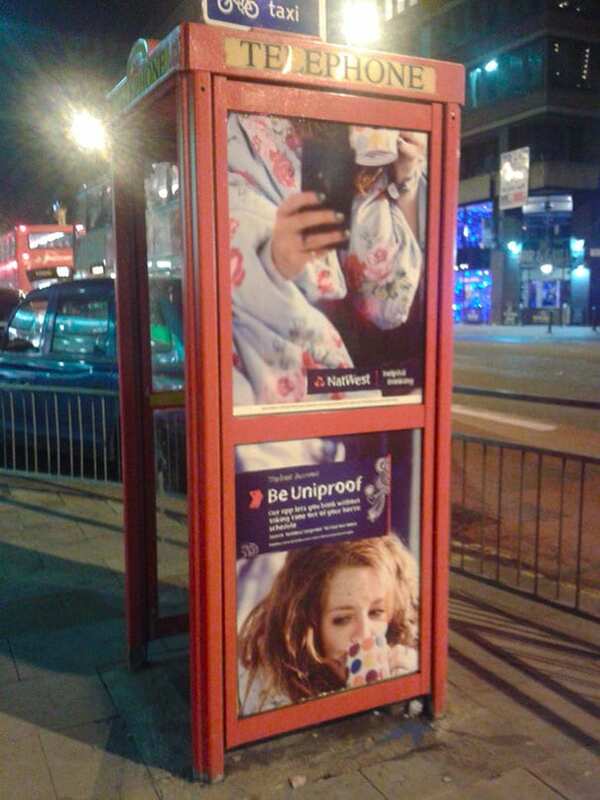 That’s one way to get people to notice your ad, but isn’t ironic that it’s an ad for a phone inside a phone booth? 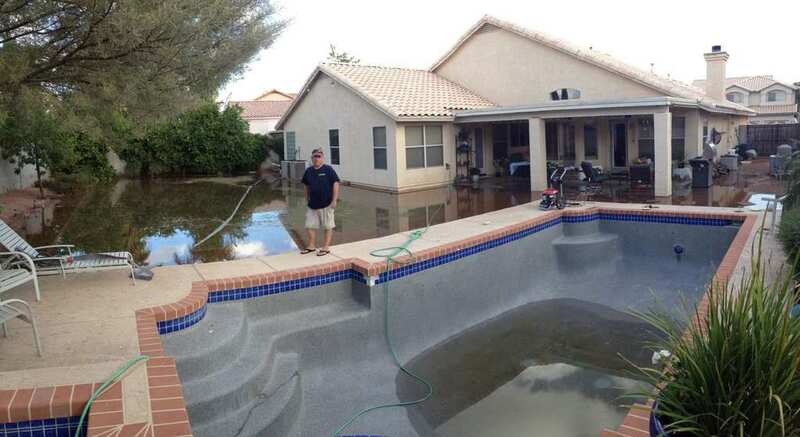 This man was so excited about this new pool that he built as an addition for his gorgeous house. He probably thought he could host lots of pool parties, have a drink or two by pool whenever he feels like or just enjoy a nice swim. That’s great and all, but what he forgot or didn’t realize was that he needs to fill the pool hole with water and not drown the entire house instead. He was probably less pleased when he got the water bill.